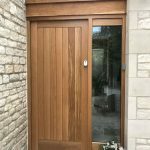 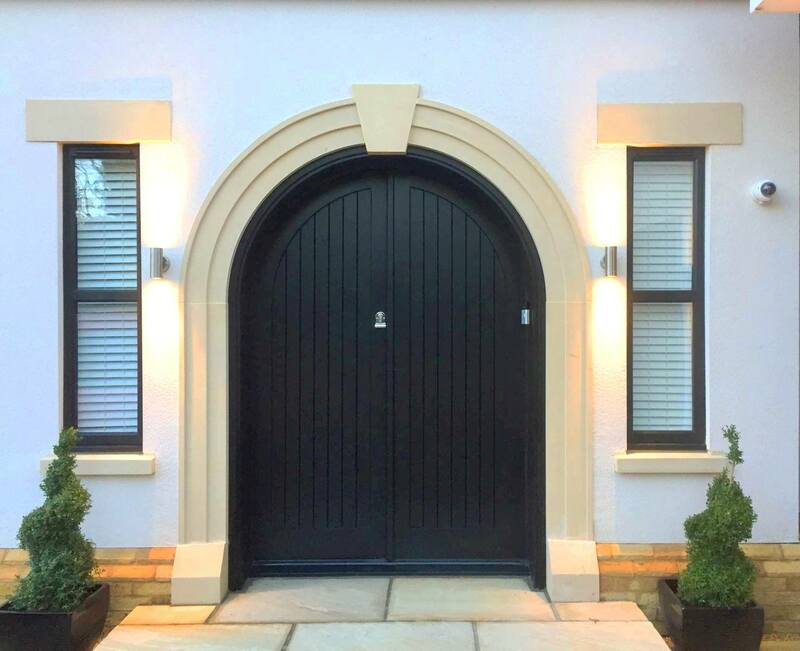 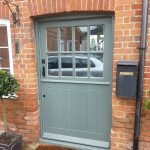 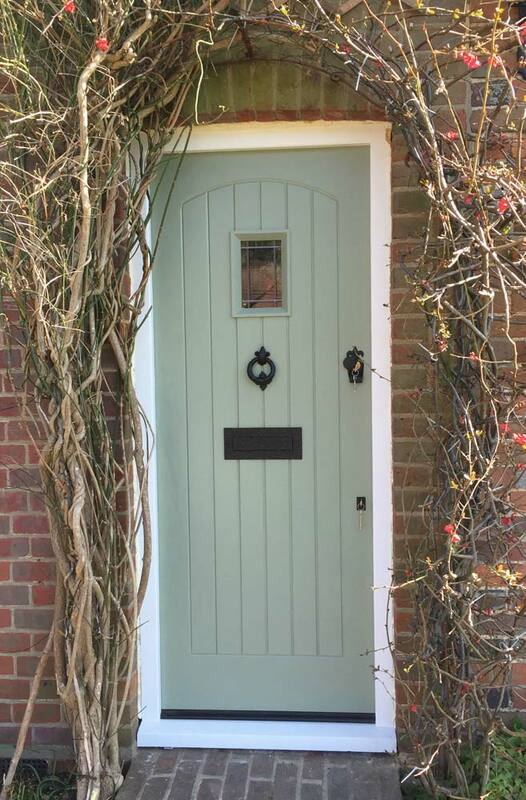 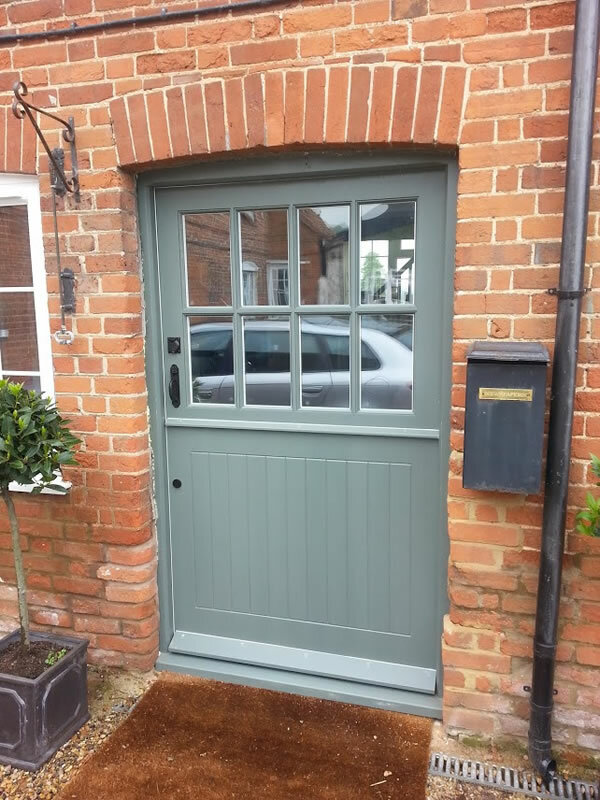 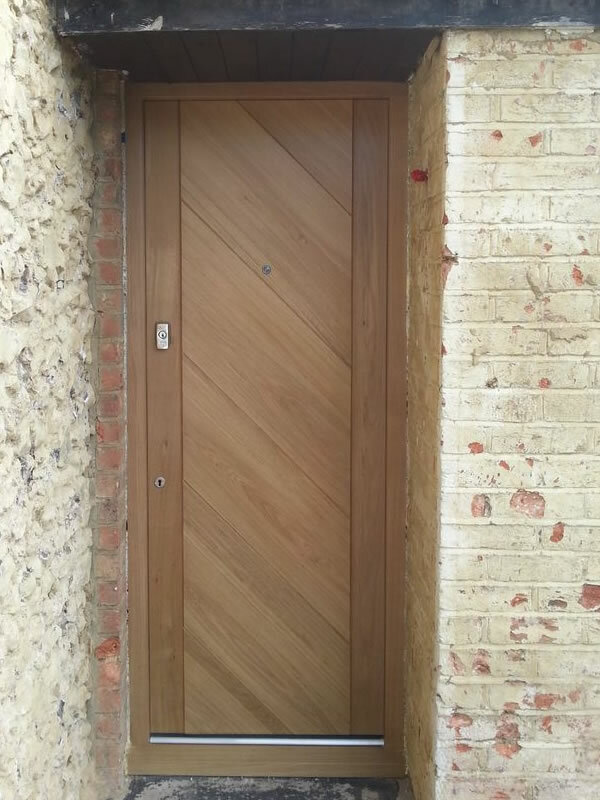 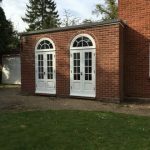 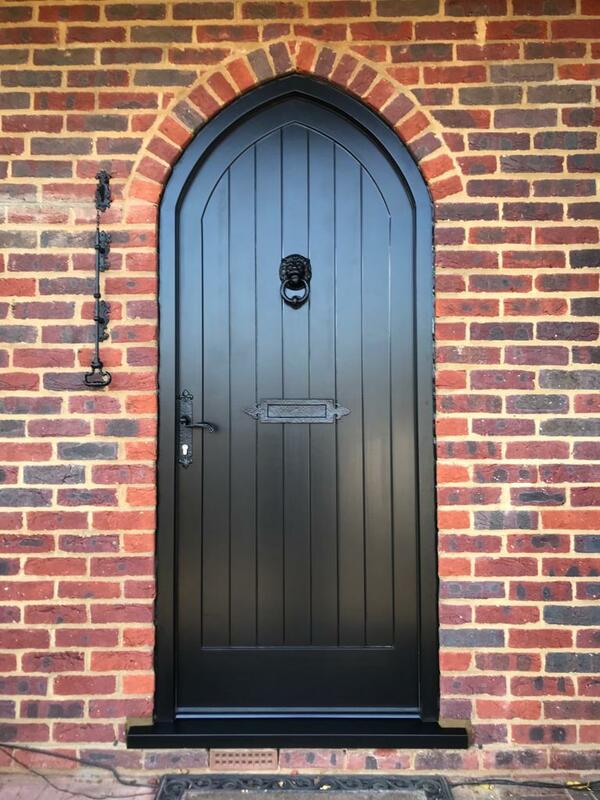 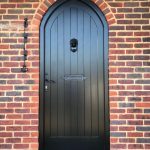 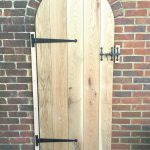 Perfect for modern or period properties and even listed buildings, our timber doors are ideal for those wanting a completely bespoke door made to exact specifications. 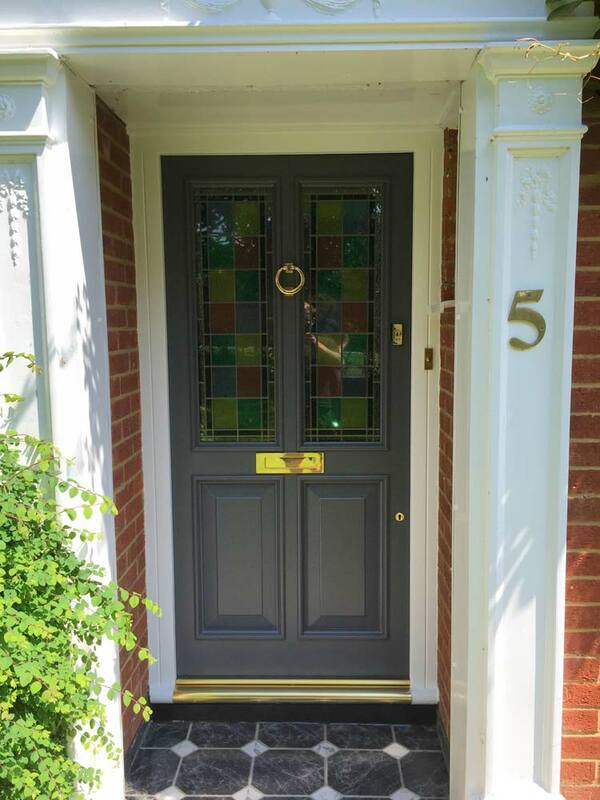 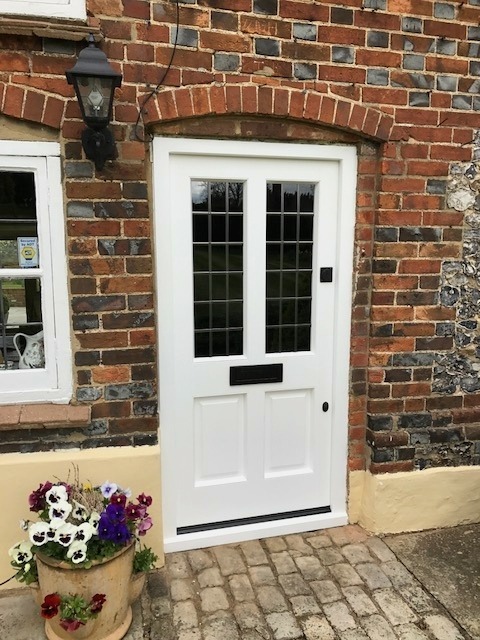 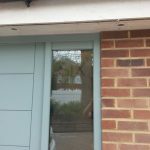 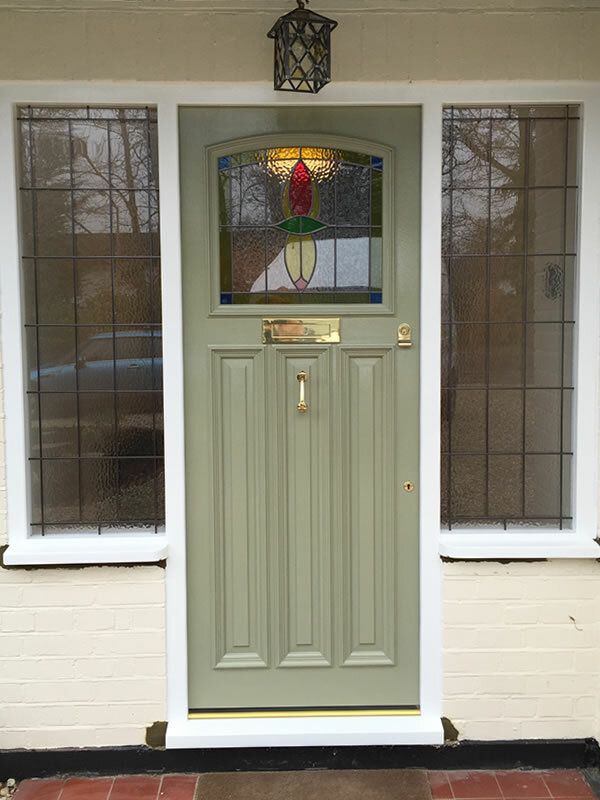 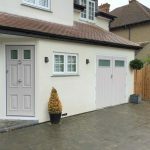 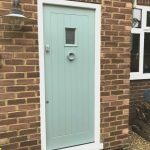 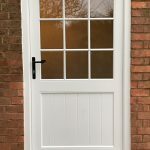 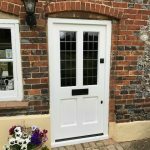 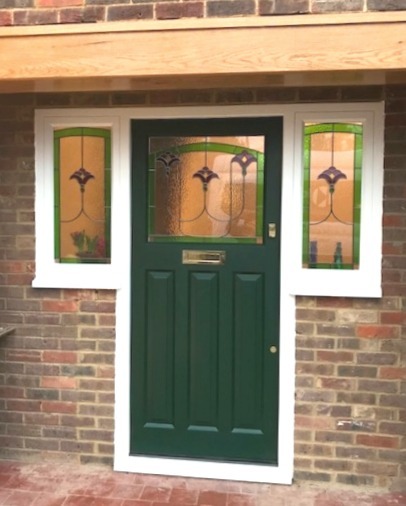 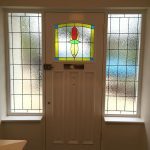 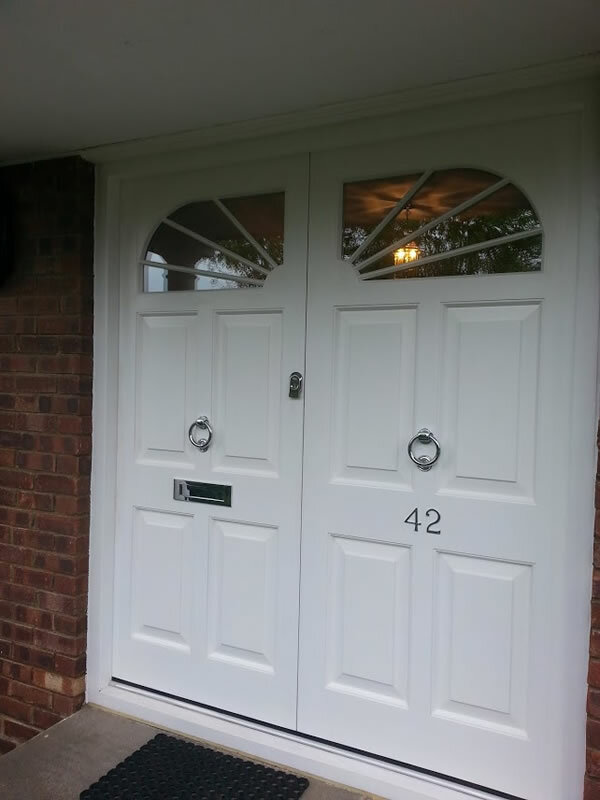 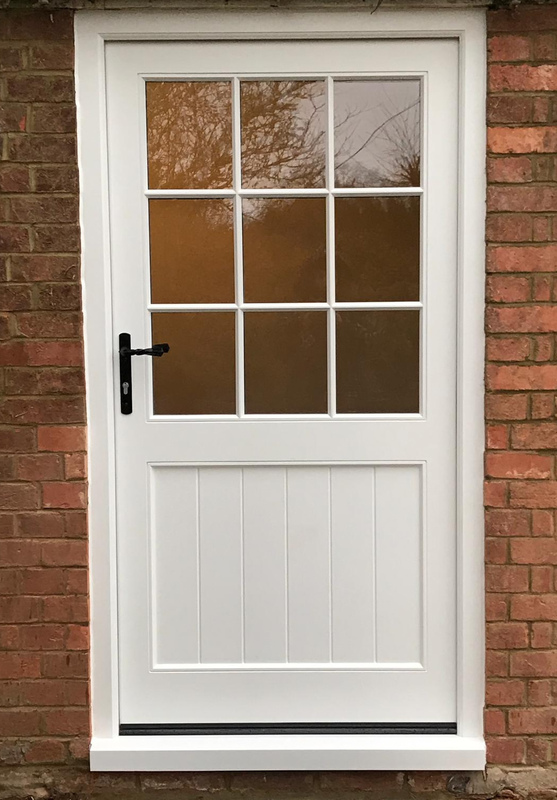 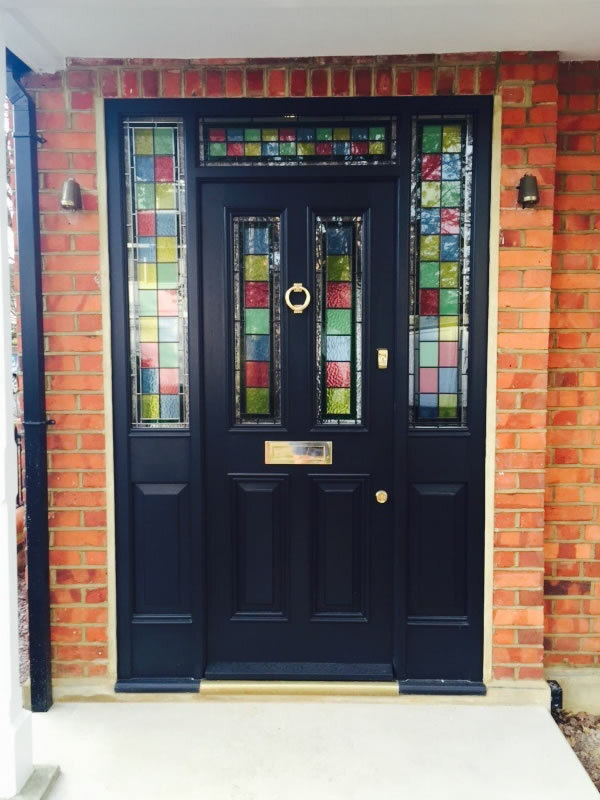 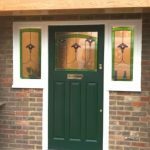 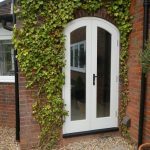 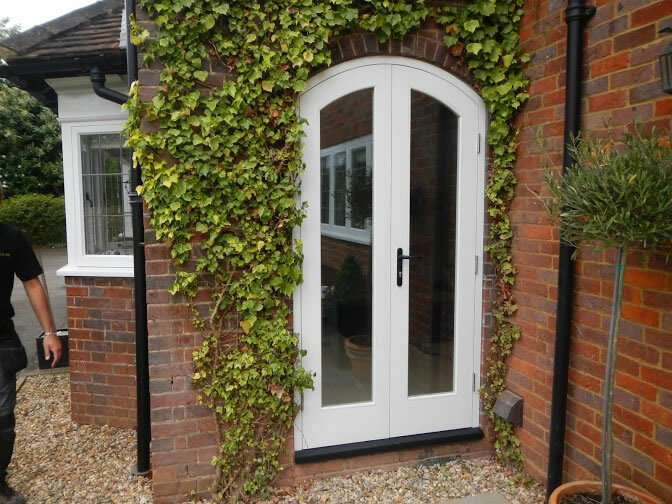 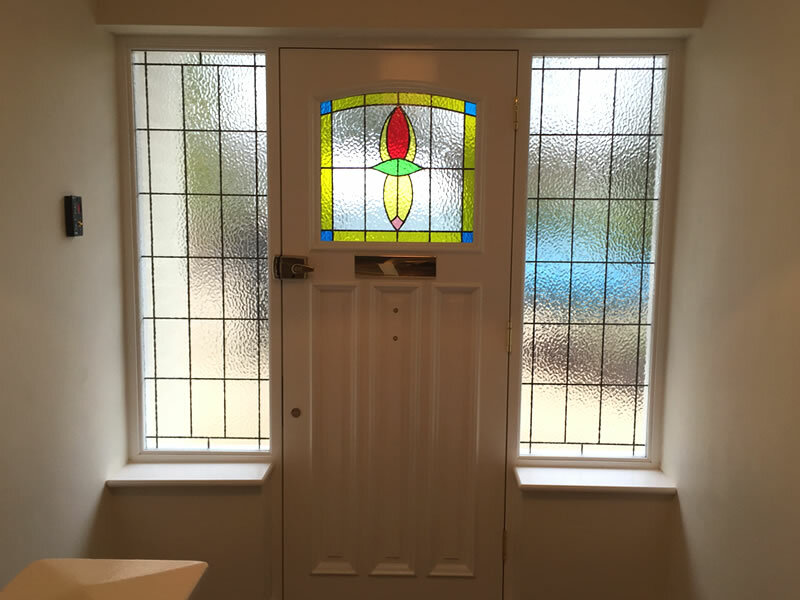 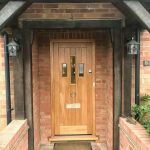 Our timber doors are also the perfect replacement for those who may want to swap out their existing uPVC door to give a modern property a spot of classic styling. 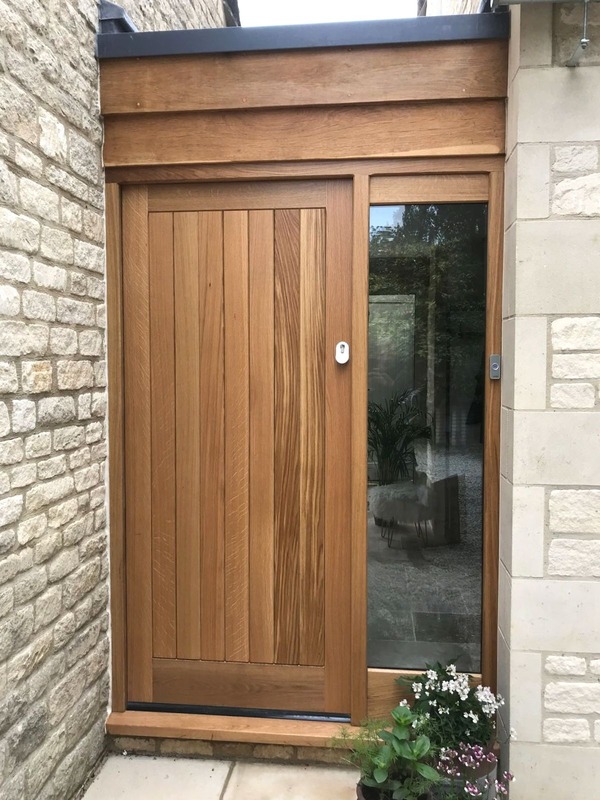 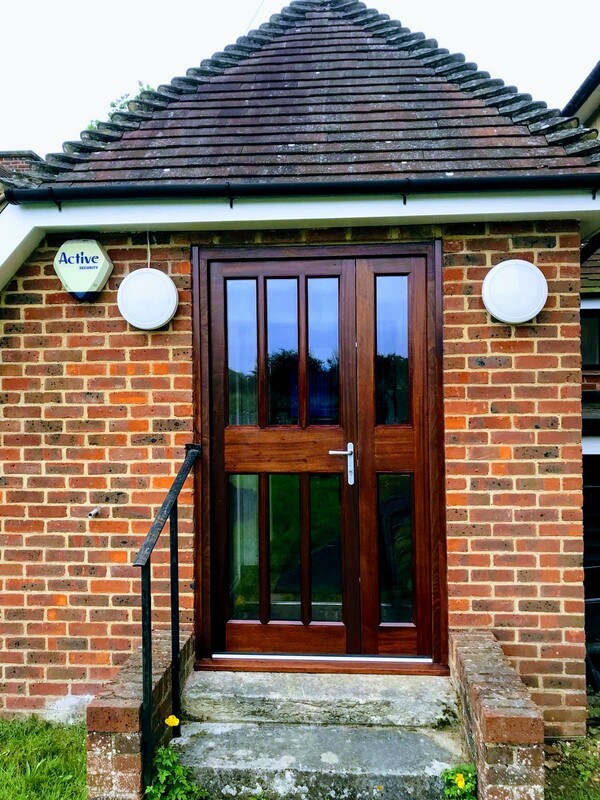 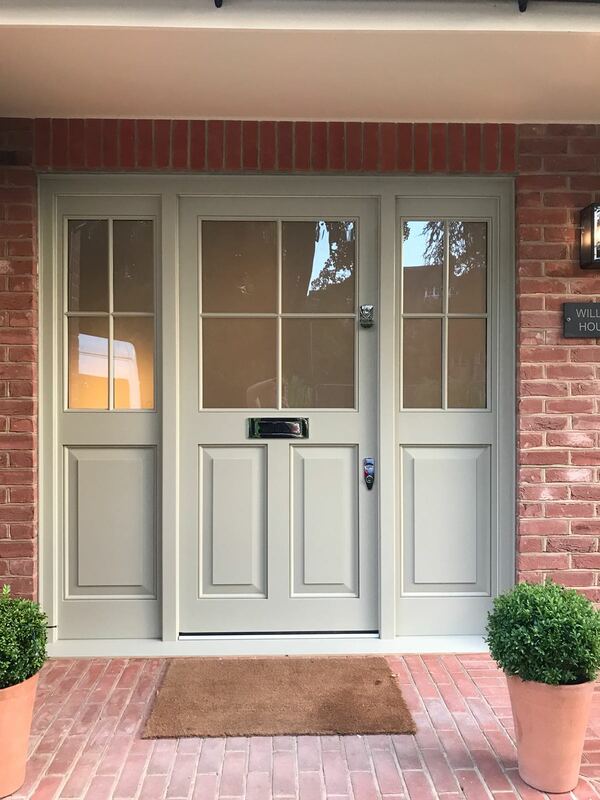 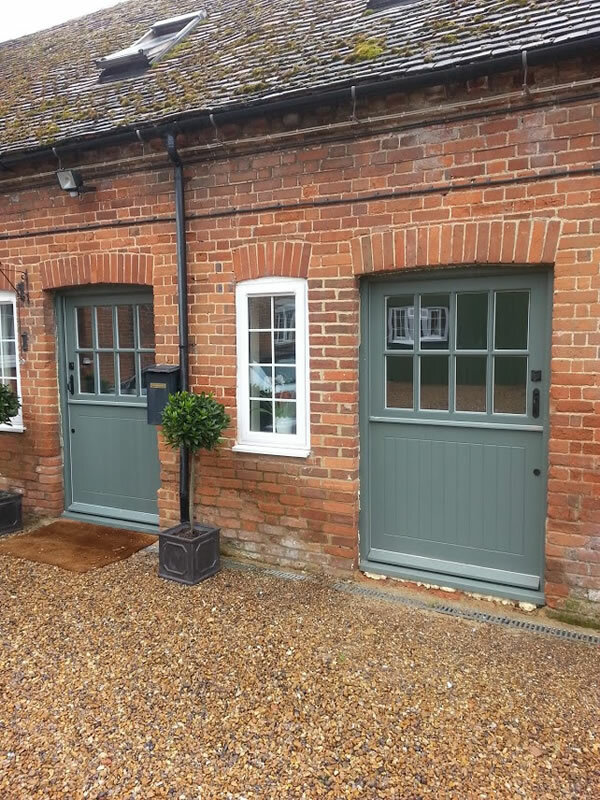 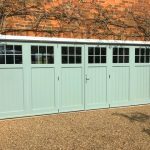 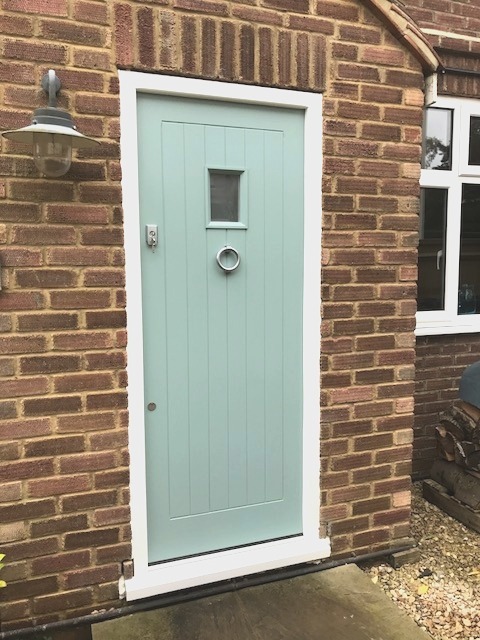 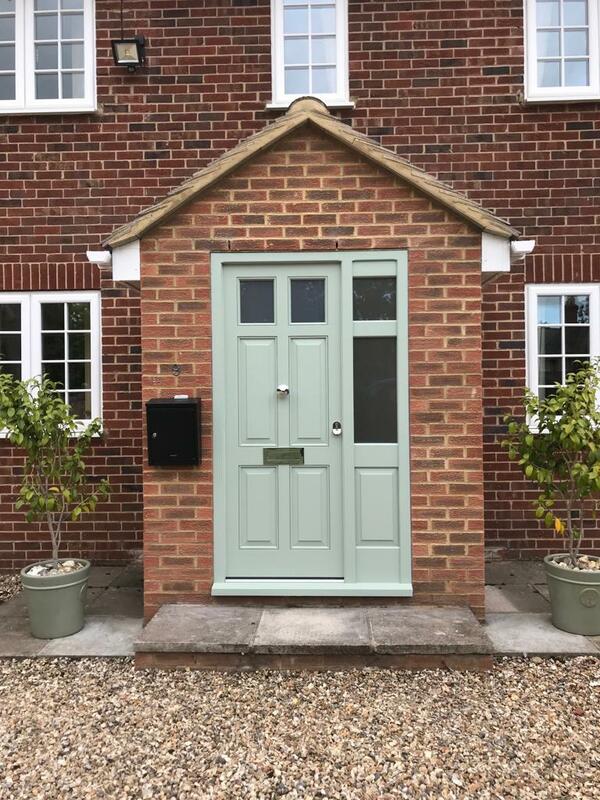 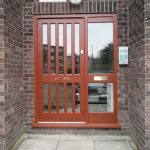 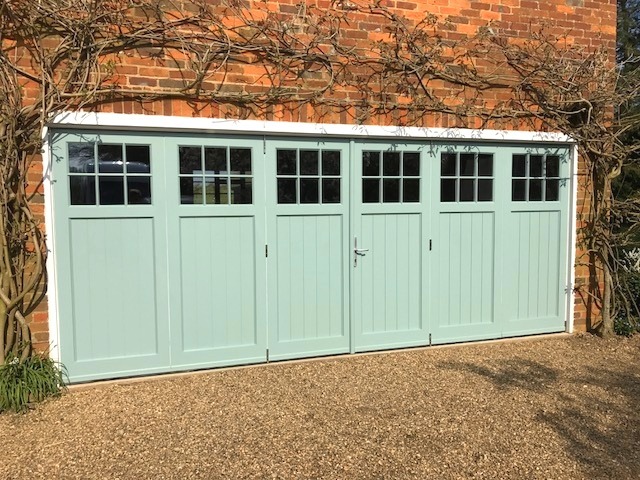 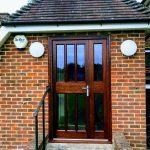 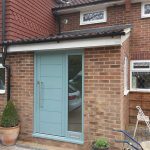 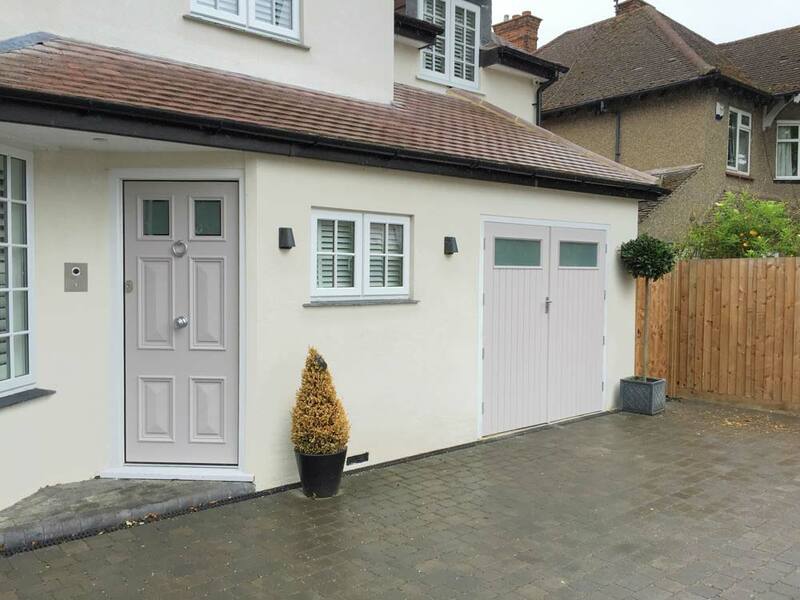 Available in a huge choice of RAL colours and wood types, we have timber doors to suit everyone, whether you’re looking for a high density hardwood door to minimise the noise of traffic, or an incredibly durable Accoya wood door with a fantastic lifetime. 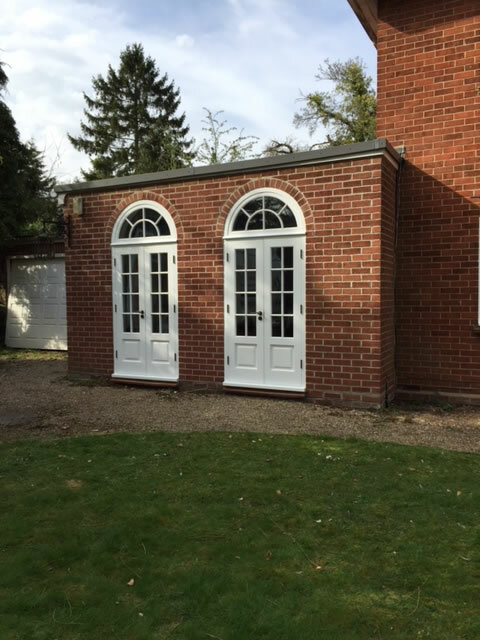 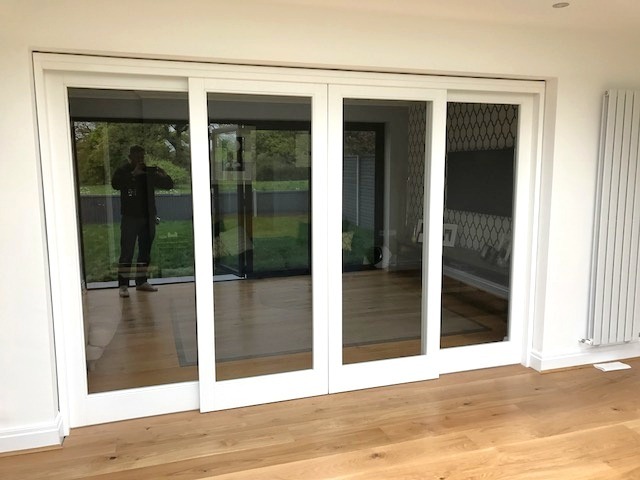 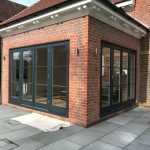 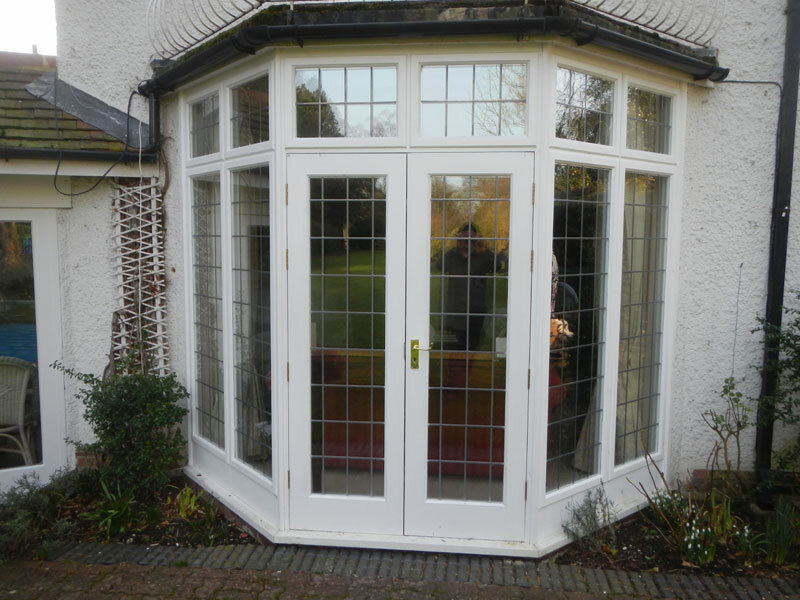 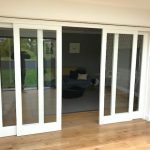 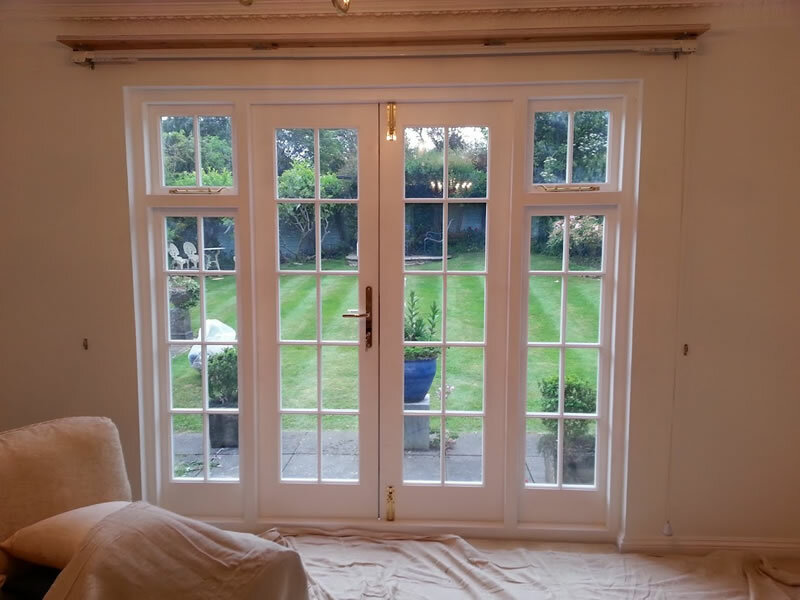 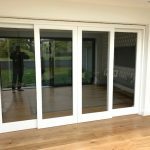 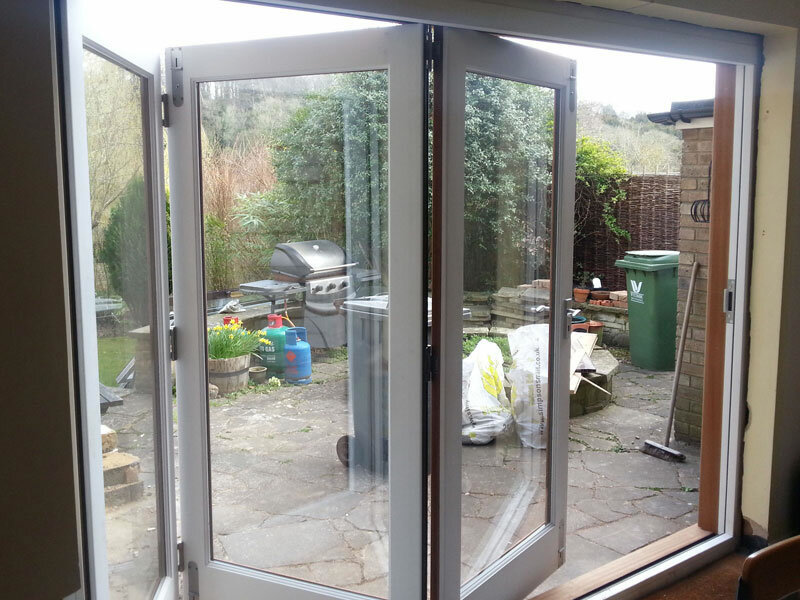 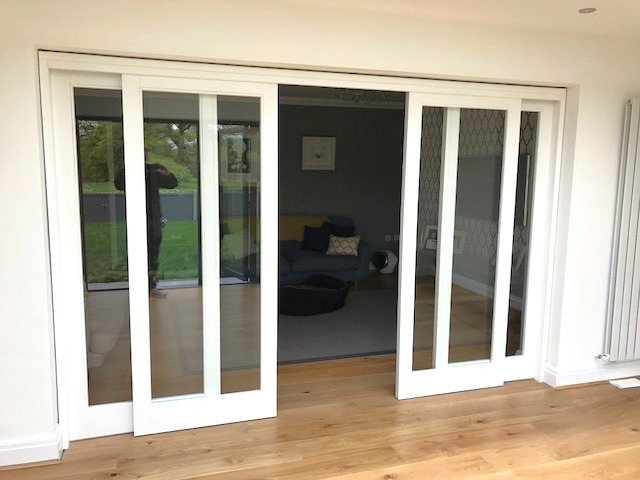 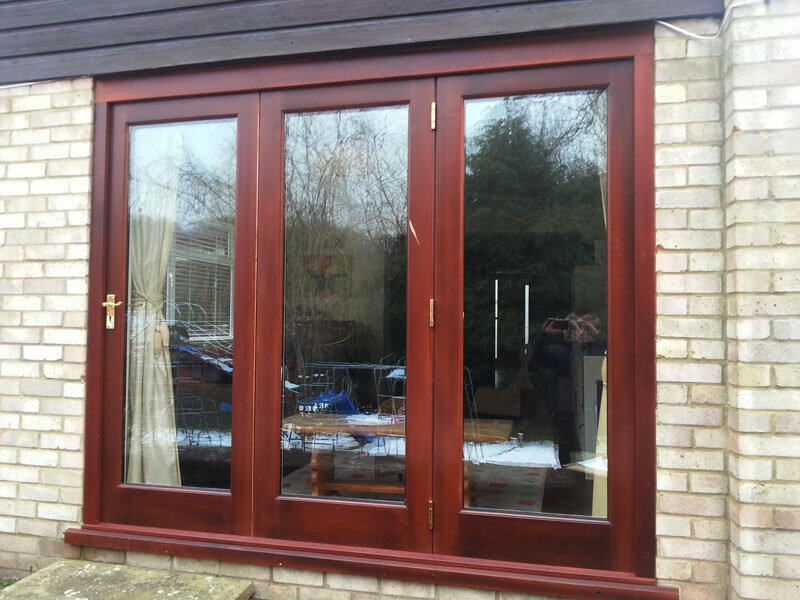 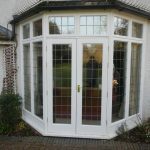 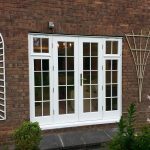 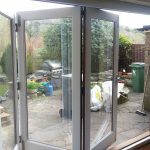 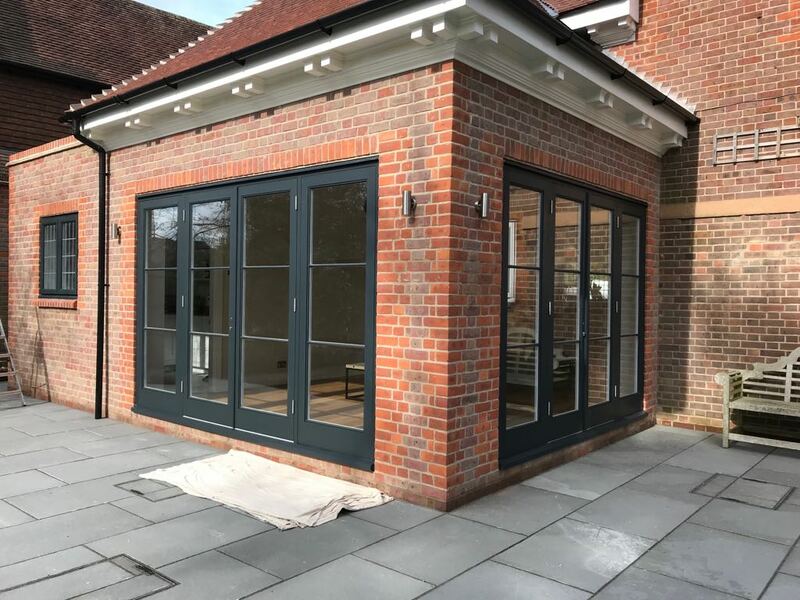 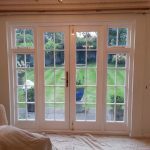 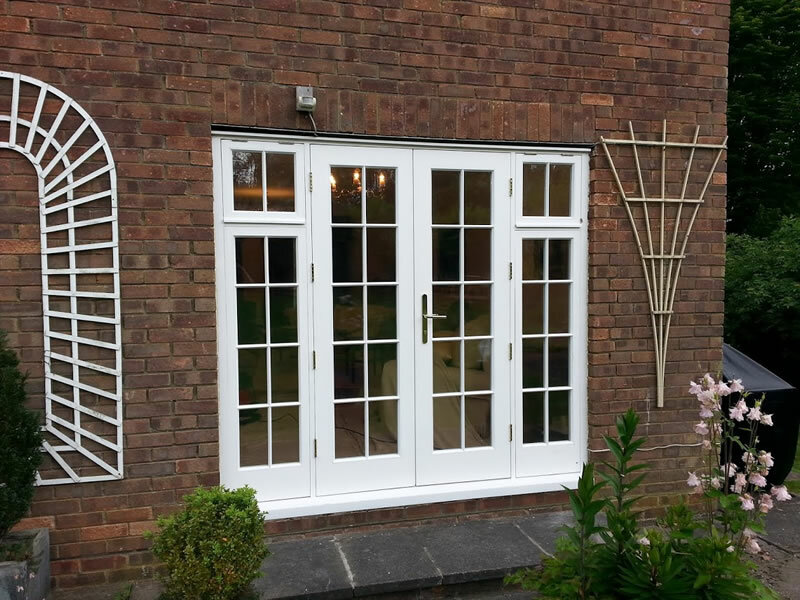 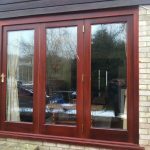 In addition to our entrance doors, we also offer fully glazed conservatory, bi-fold and French timber doors should you wish to open your house onto your patio or garden. 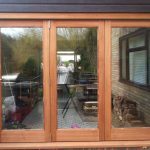 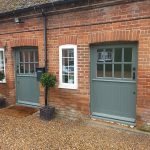 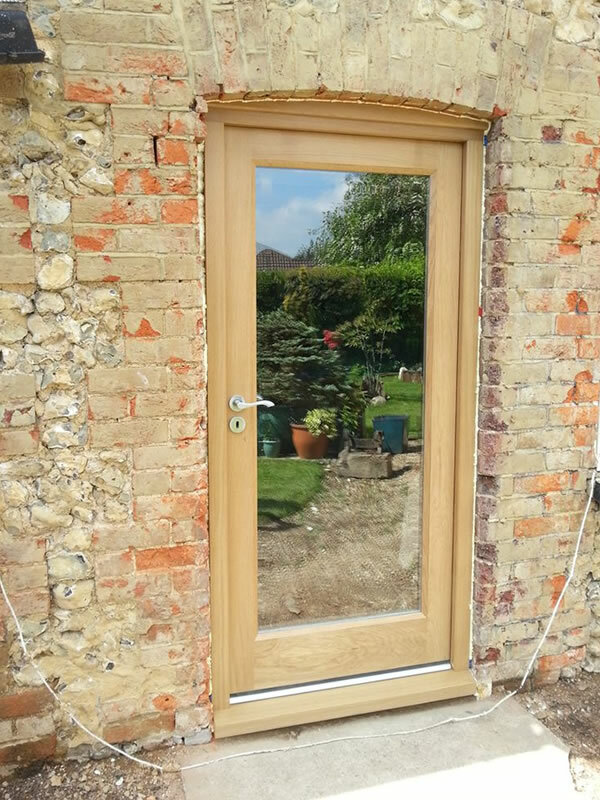 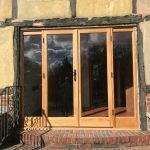 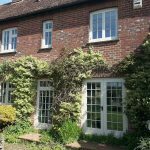 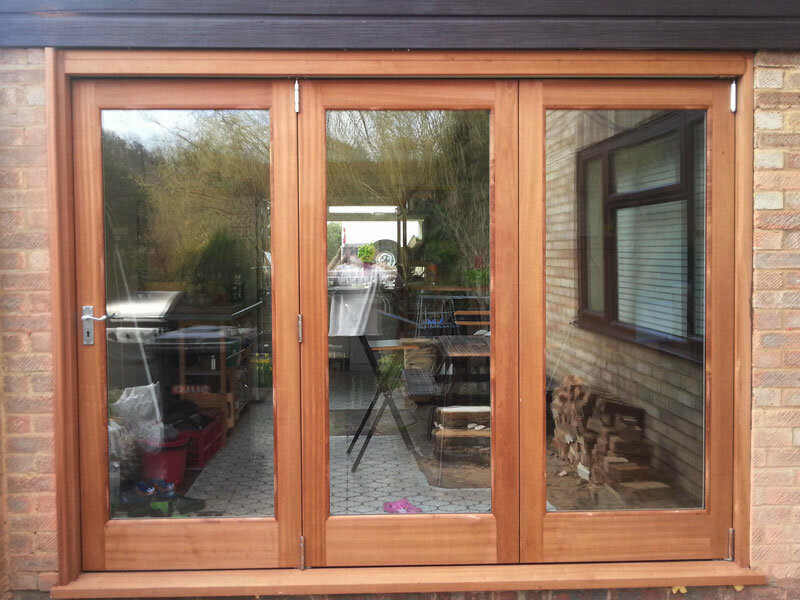 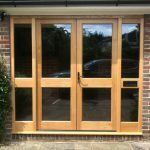 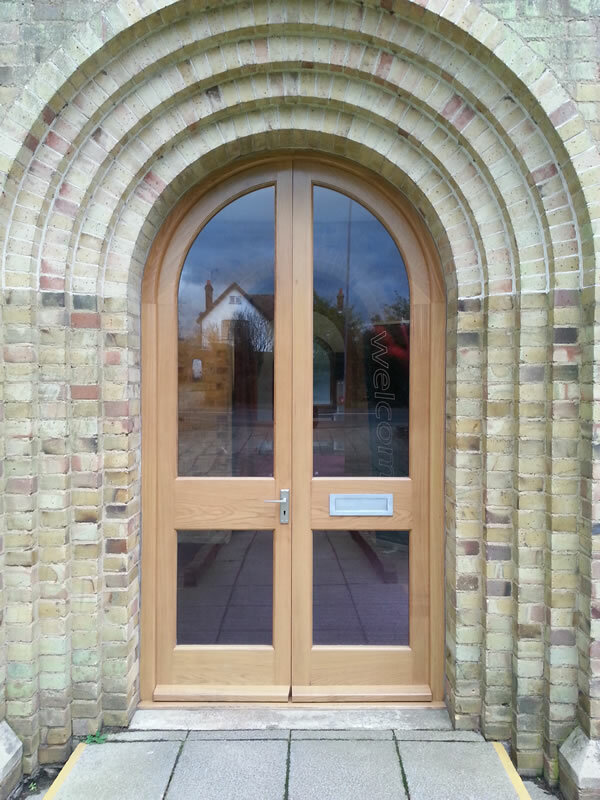 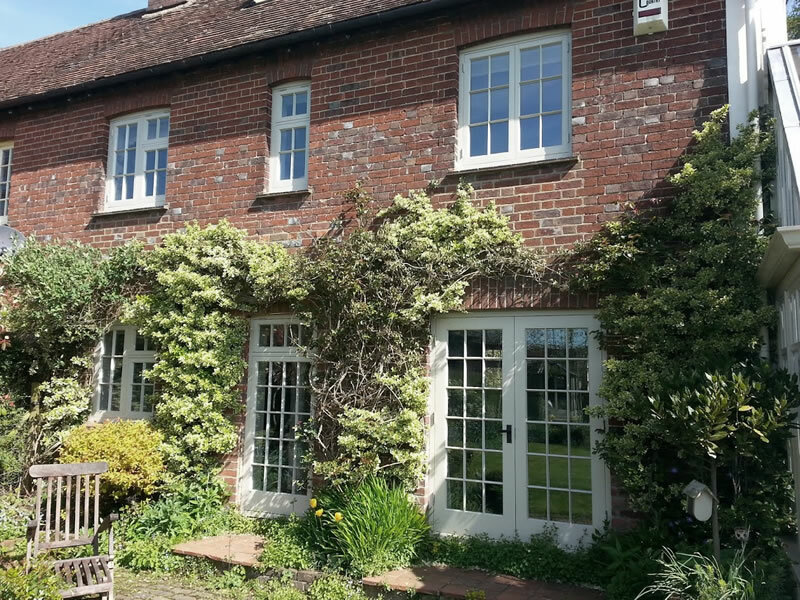 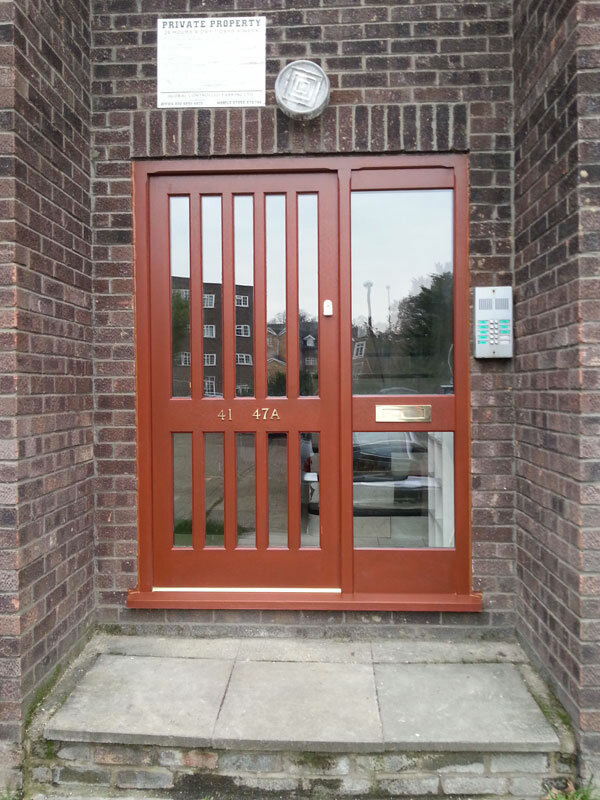 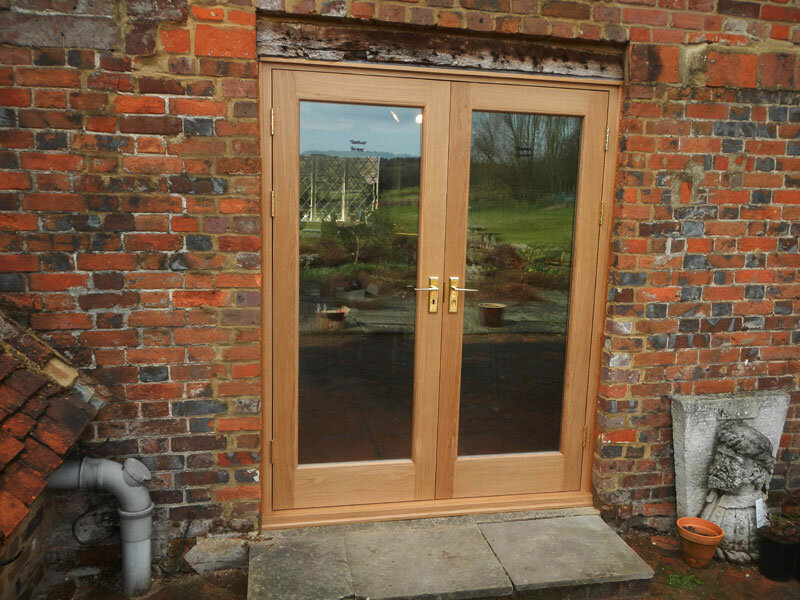 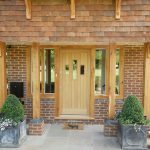 We offer the choice of Accoya wood across our range of both windows and doors. 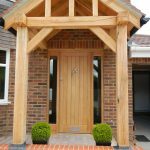 Made from sustainably forested radiata pine, Accoya wood is an excellent choice for those looking for ease of use and durability. 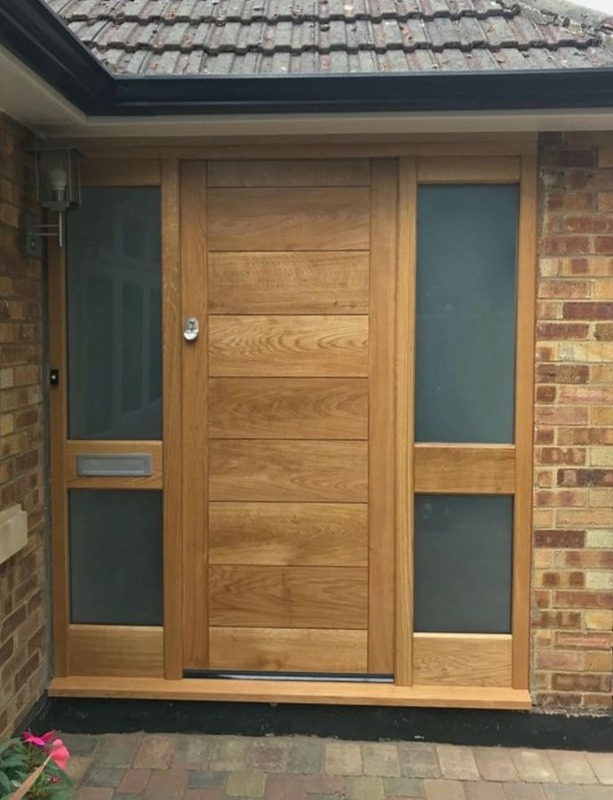 It is manufactured using an advanced acetylation process which produces consistent durability and wood which has been proven to last at least 50 years in exterior use. 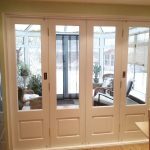 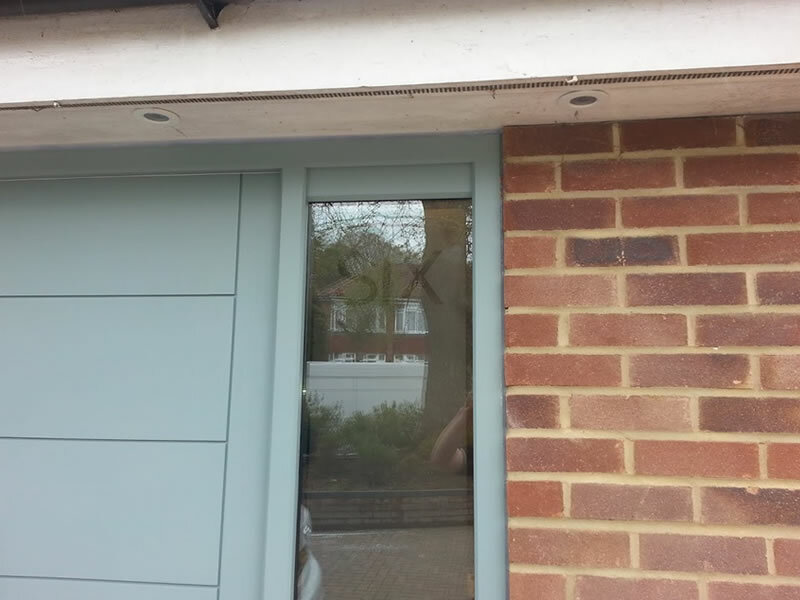 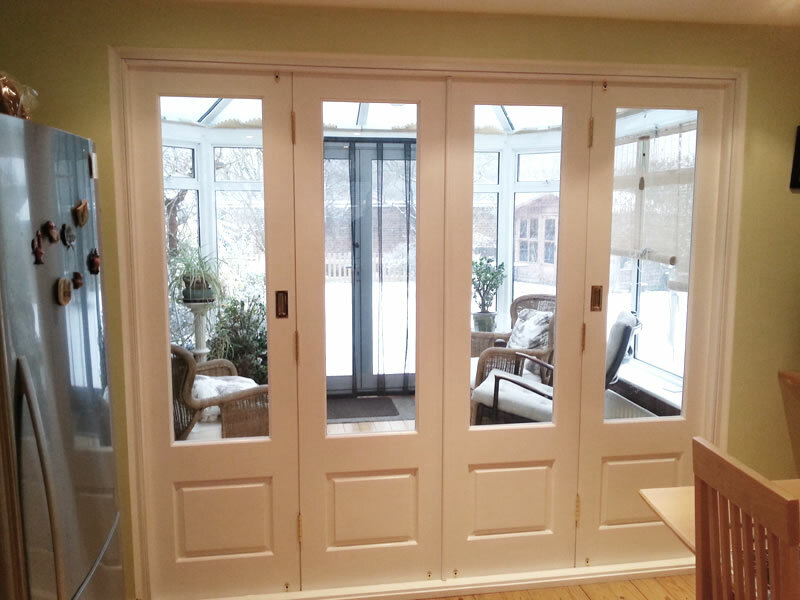 This manufacturing process also grants it a unique combination of dimensional stability and strength which prevents shutters and doors from becoming difficult to open in bad weather, meaning that it is easy to maintain and hassle-free. 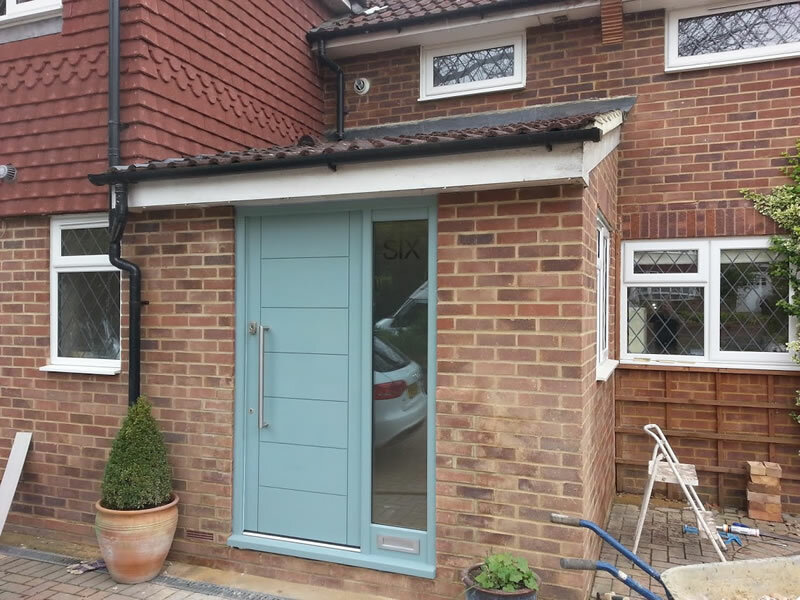 All of our doors are available in any RAL colour, and all finishes. 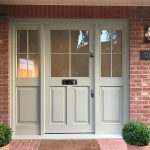 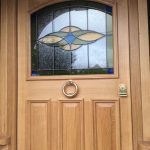 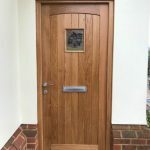 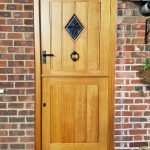 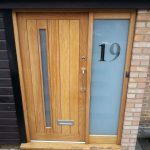 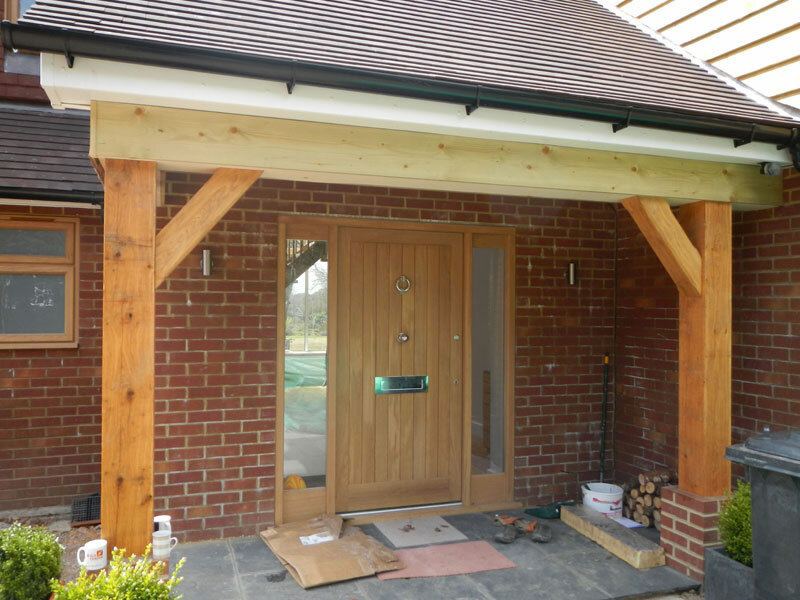 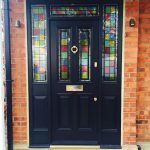 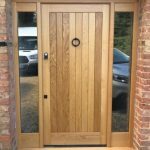 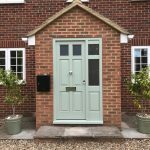 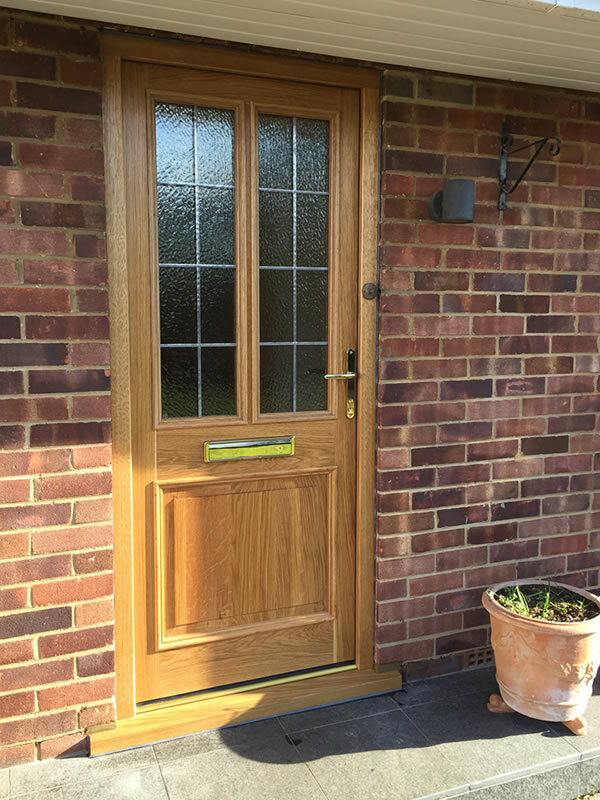 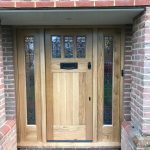 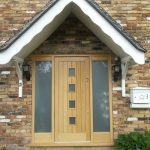 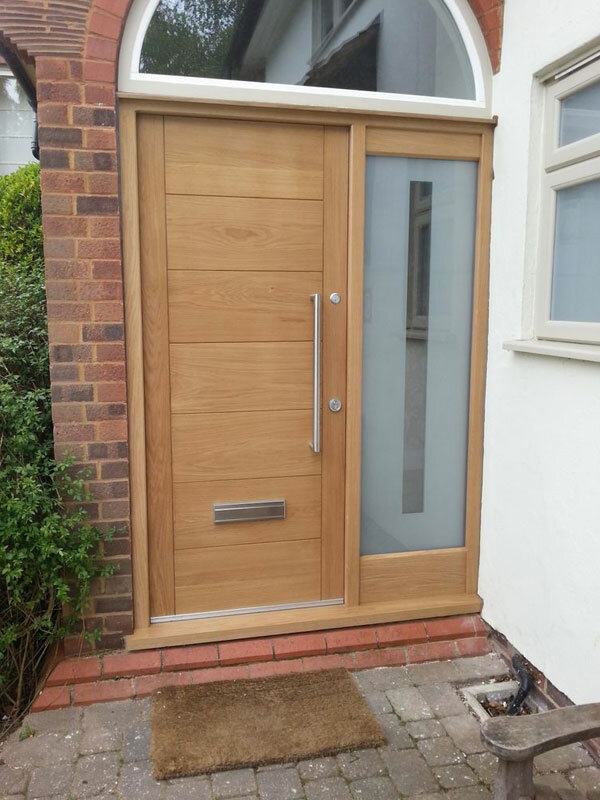 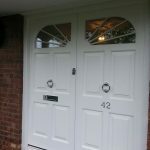 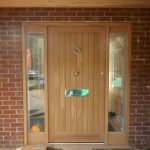 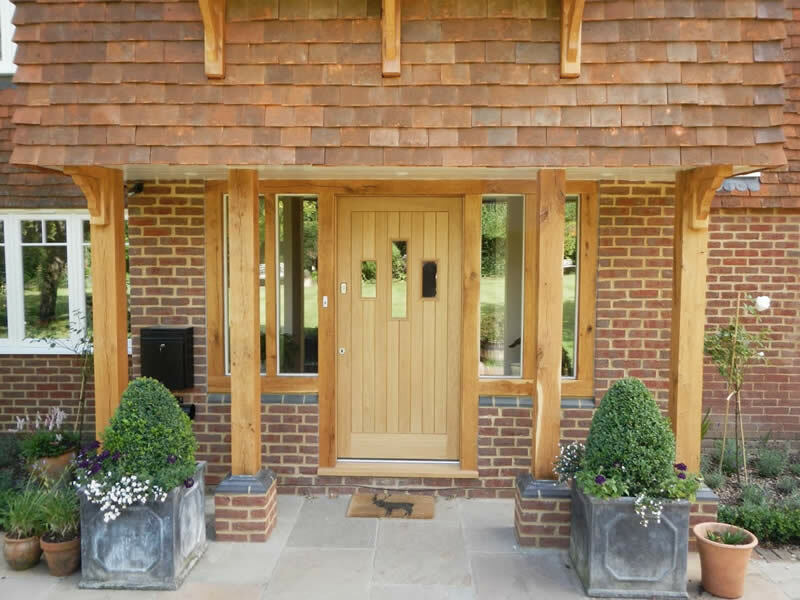 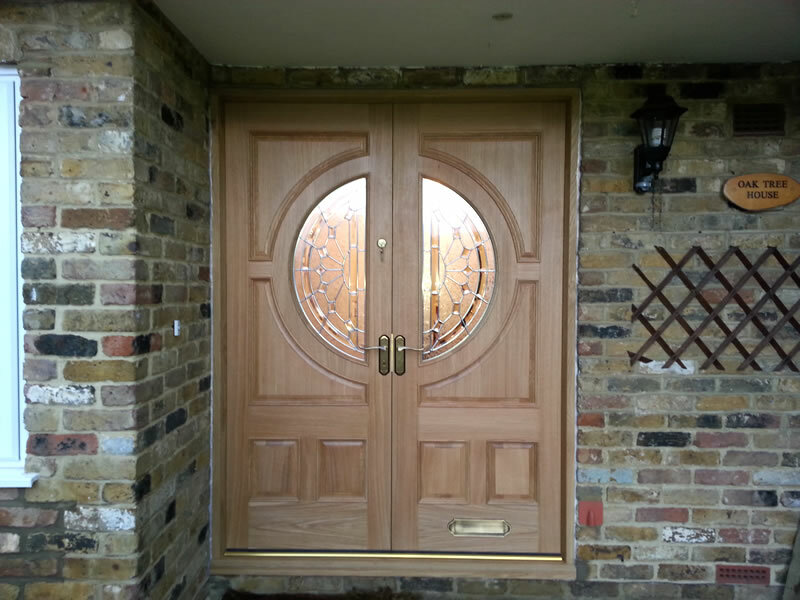 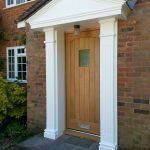 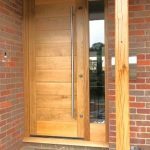 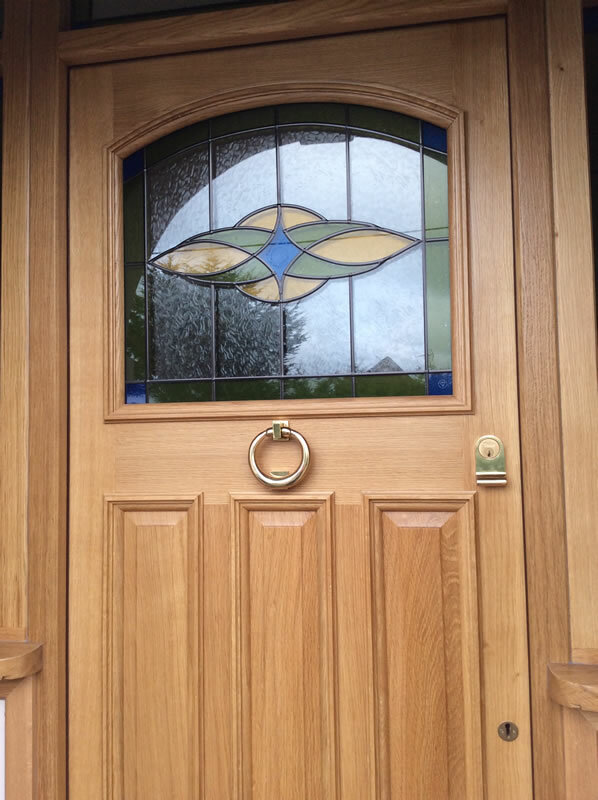 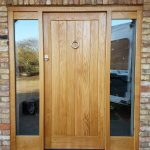 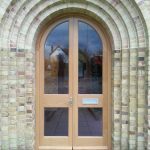 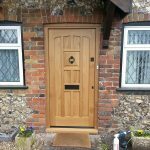 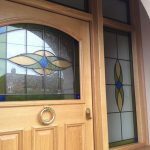 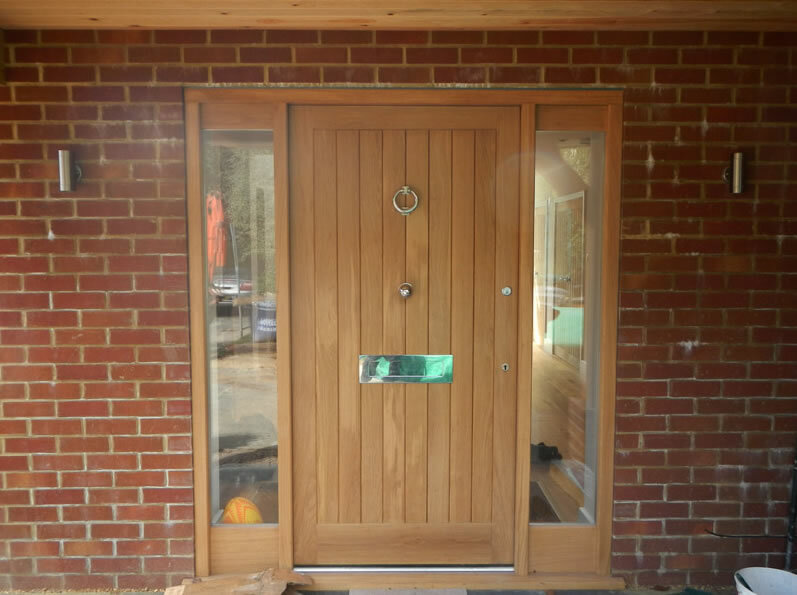 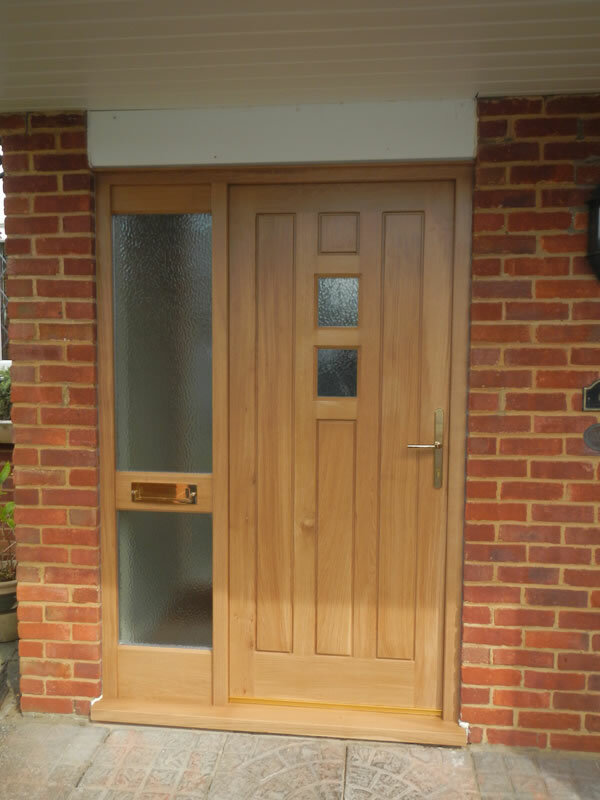 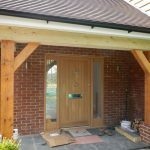 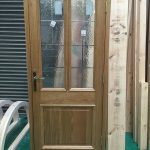 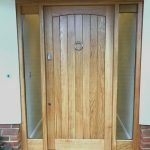 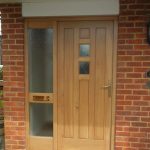 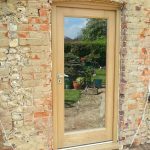 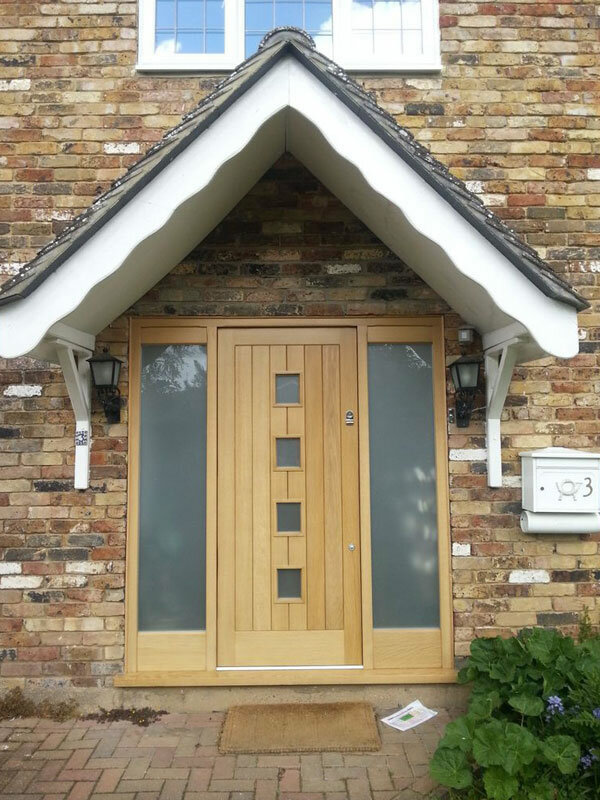 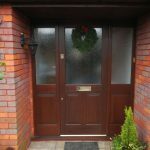 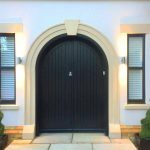 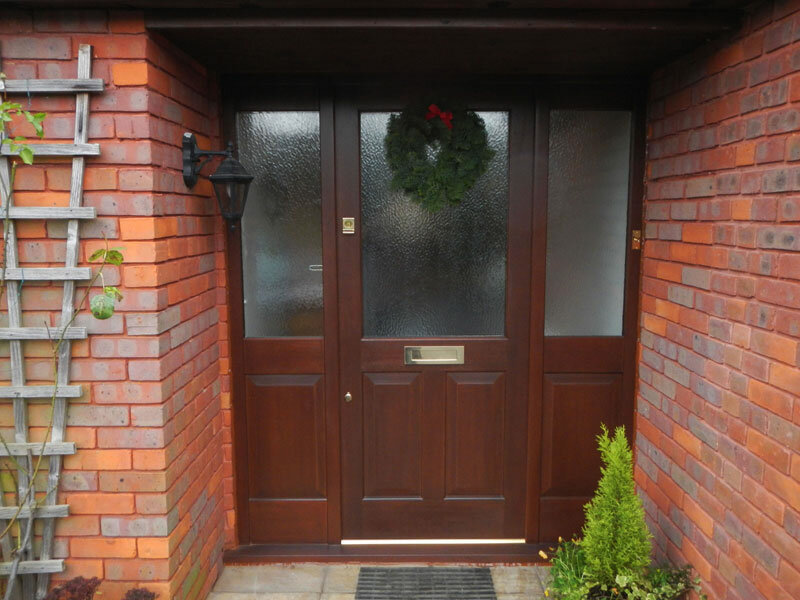 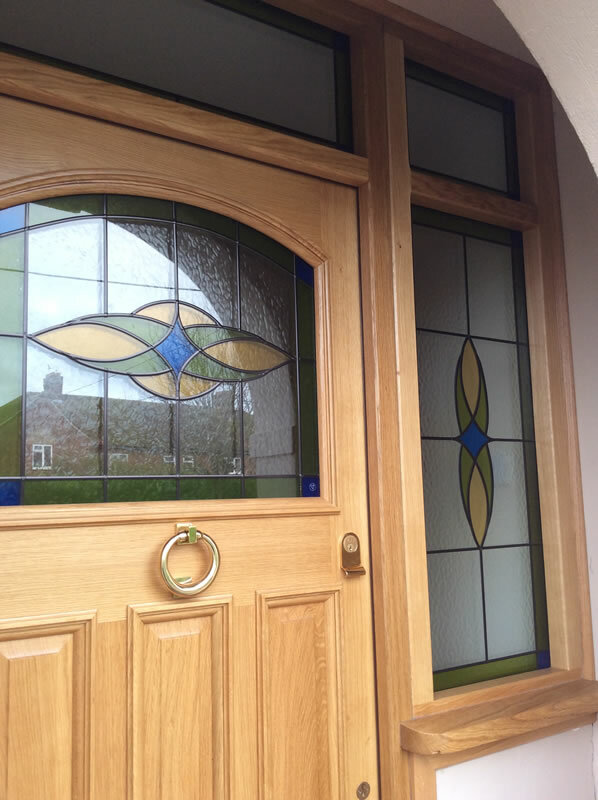 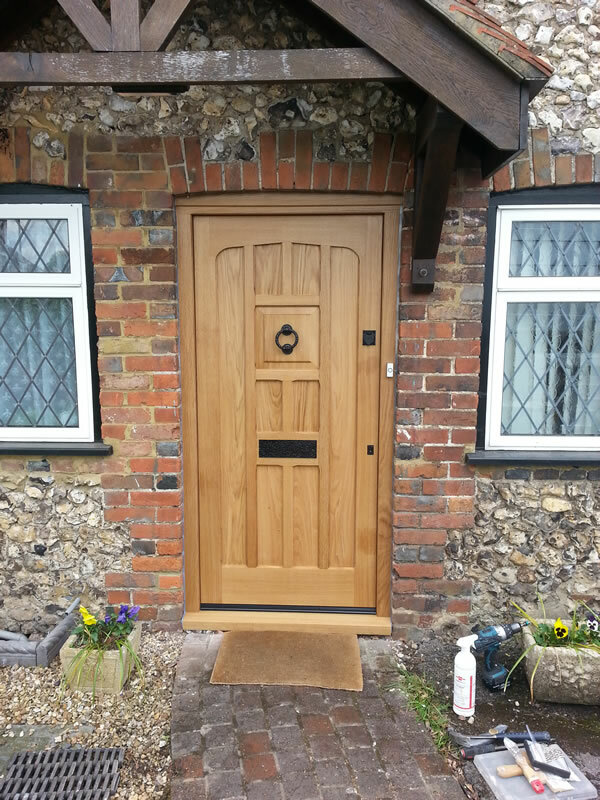 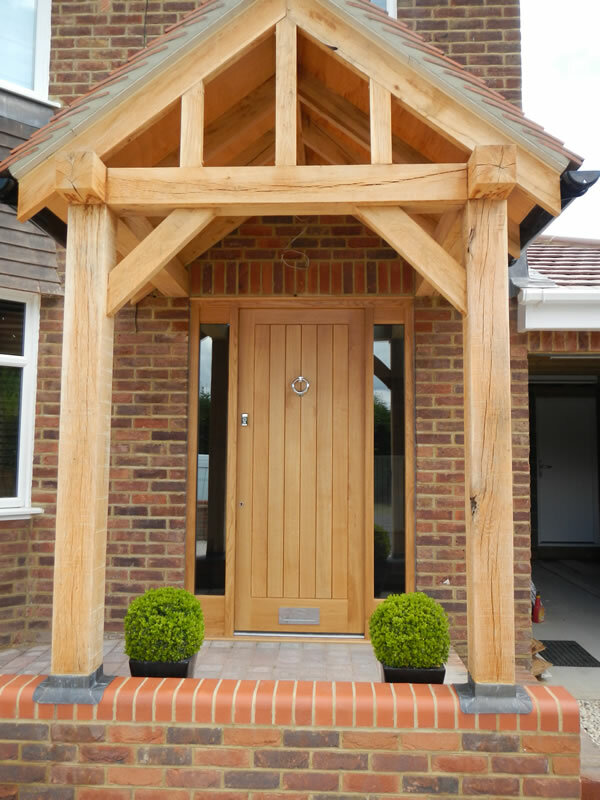 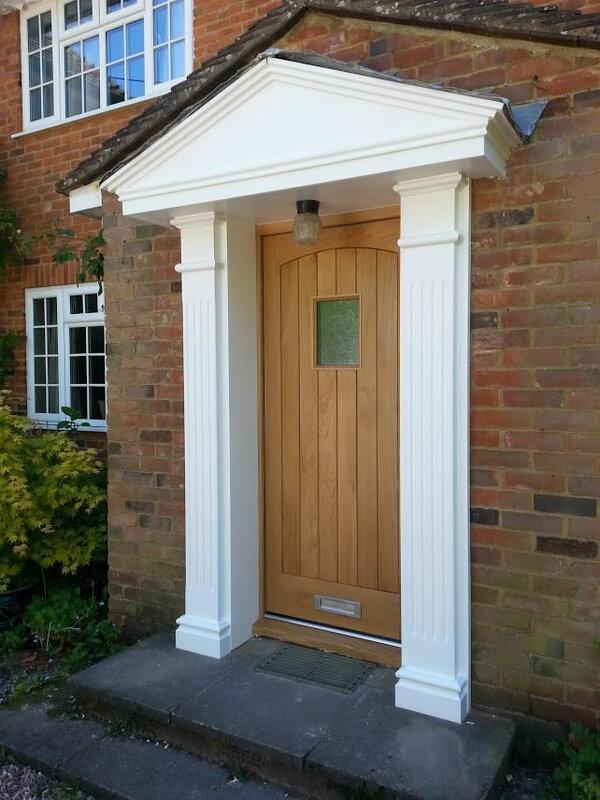 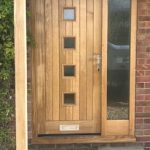 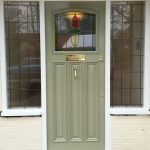 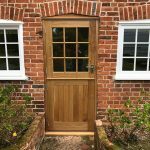 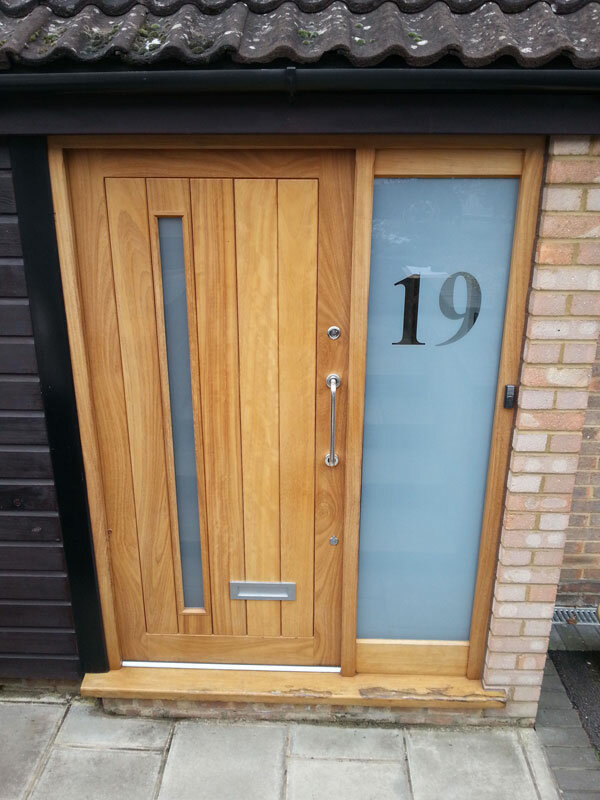 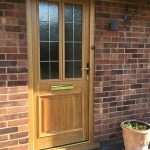 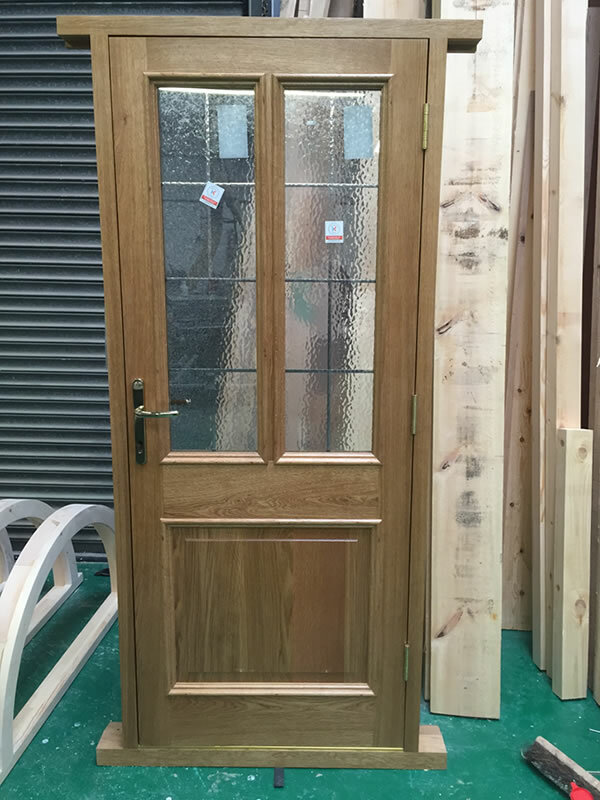 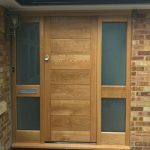 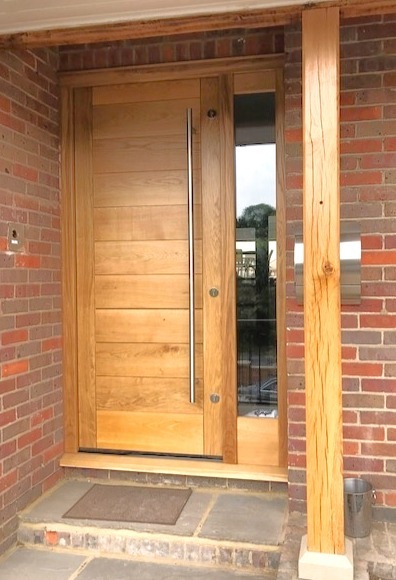 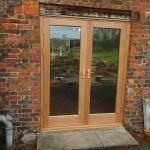 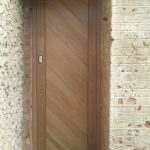 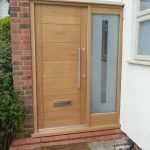 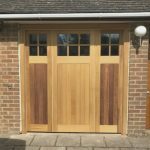 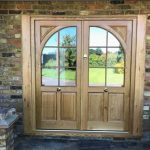 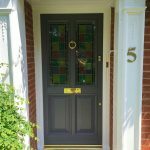 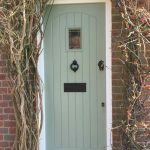 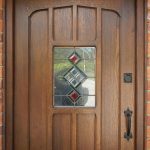 Why opt for an Oak front door? 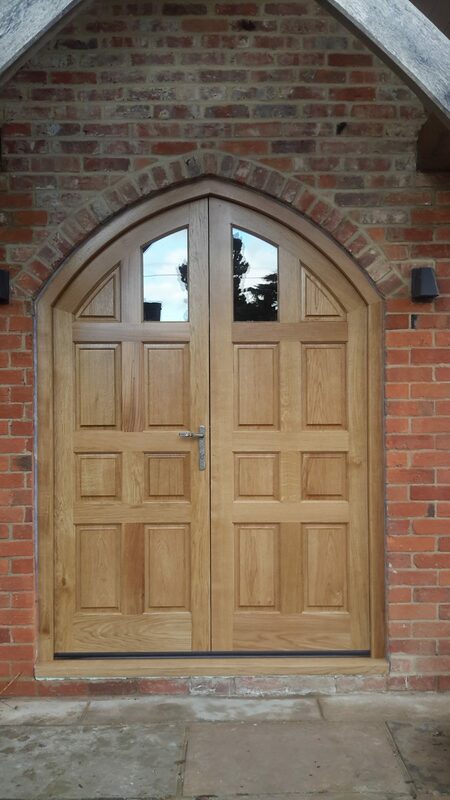 Oak is a pedigree choice. 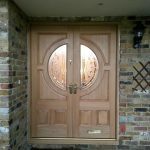 Its weight, solidity and strength are apparent in the way it looks and the way it feels opening and closing. 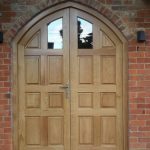 Furthermore, Oak is also known to increase a home’s kerbside value. 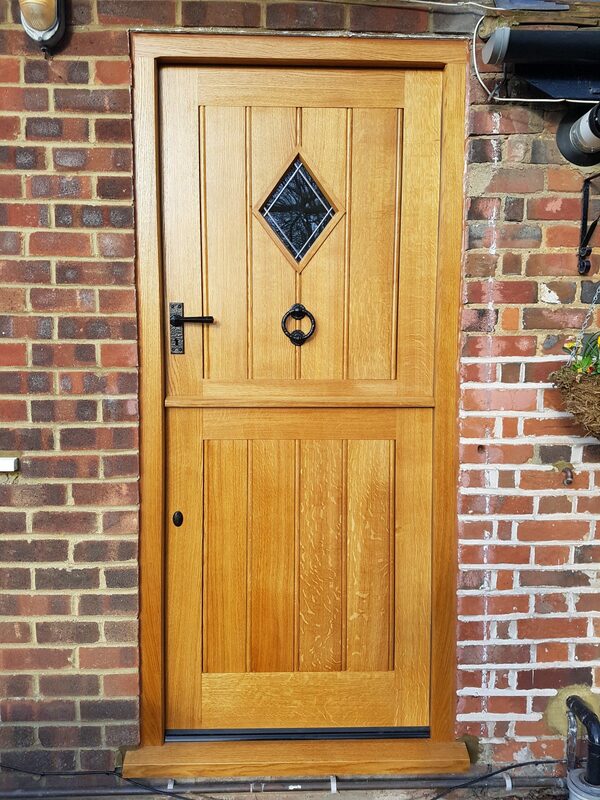 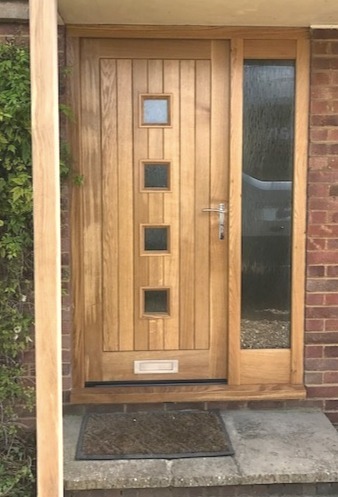 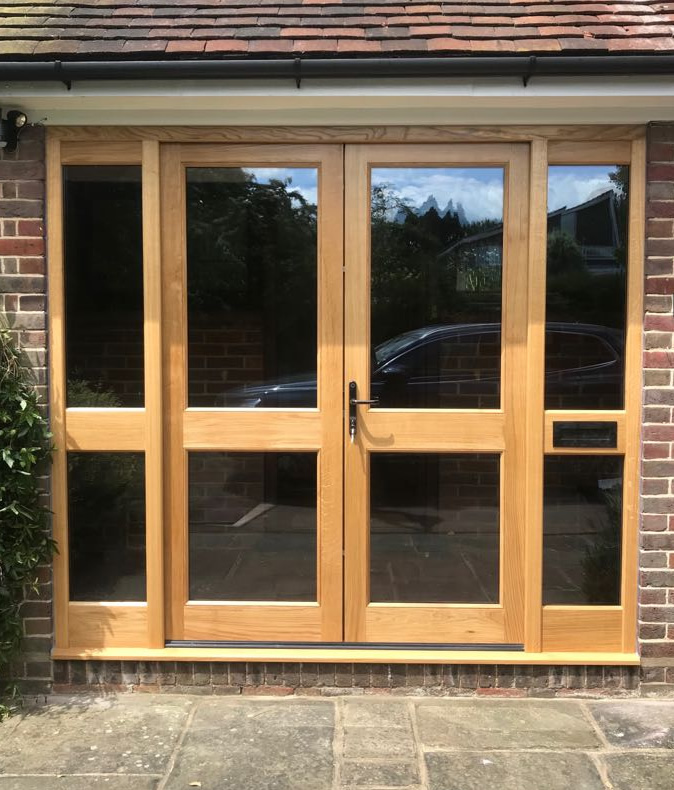 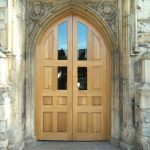 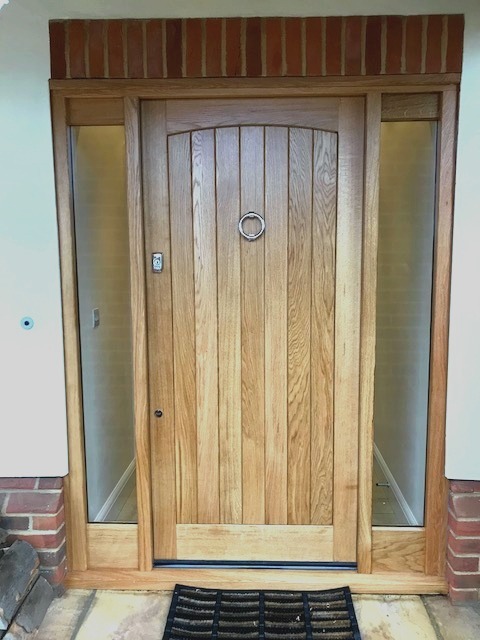 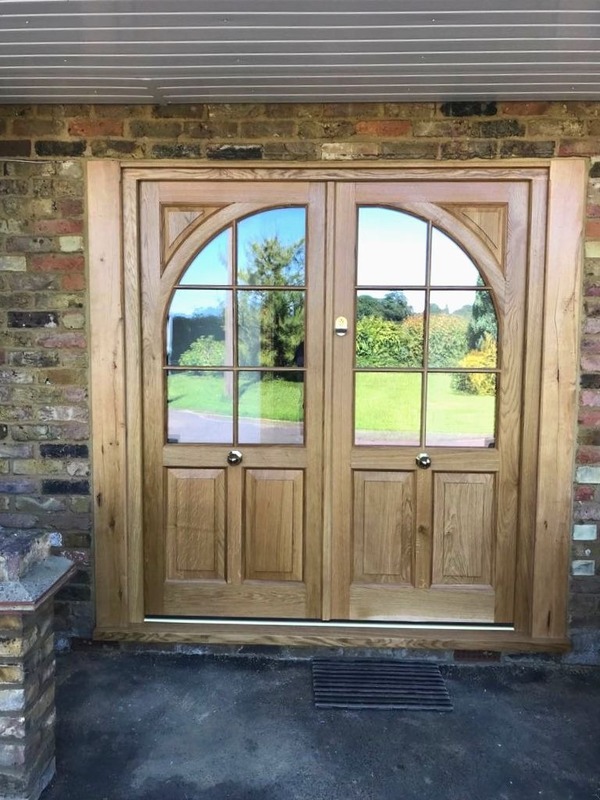 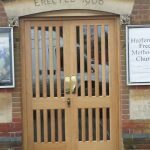 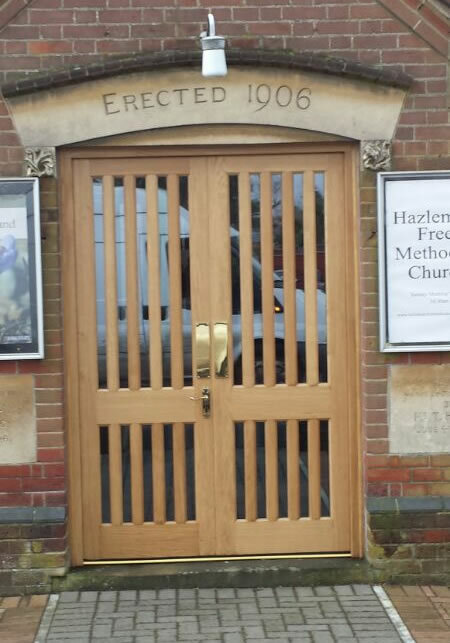 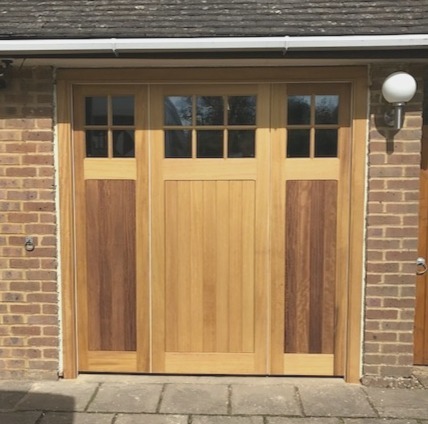 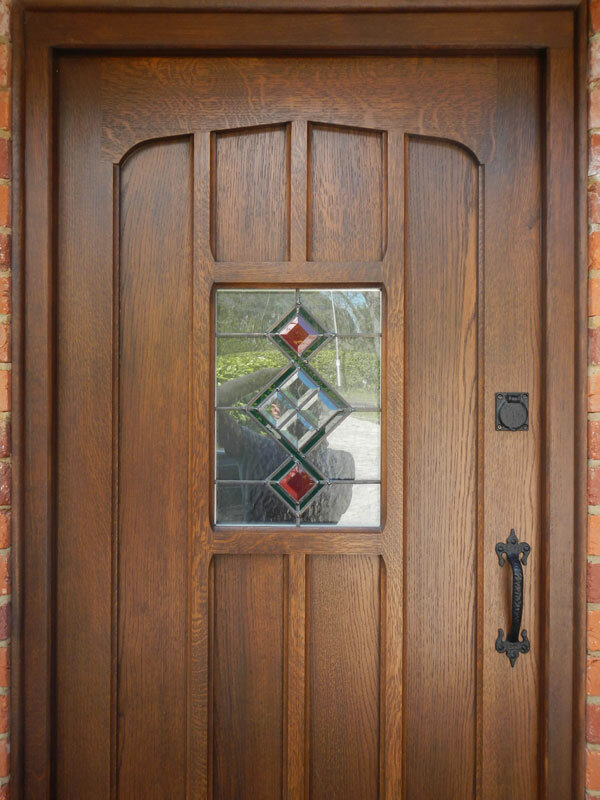 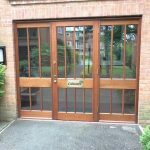 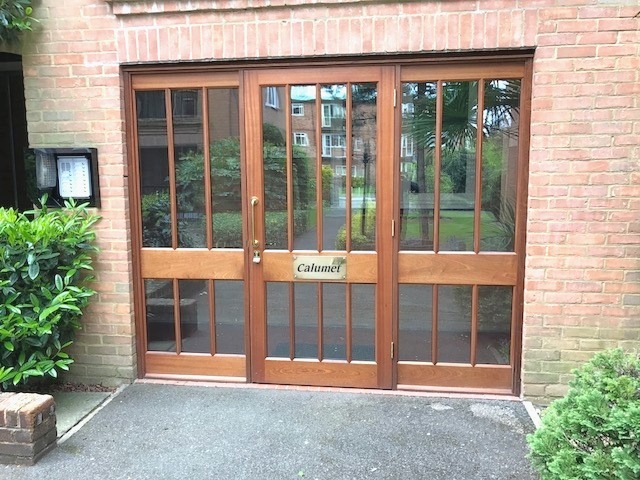 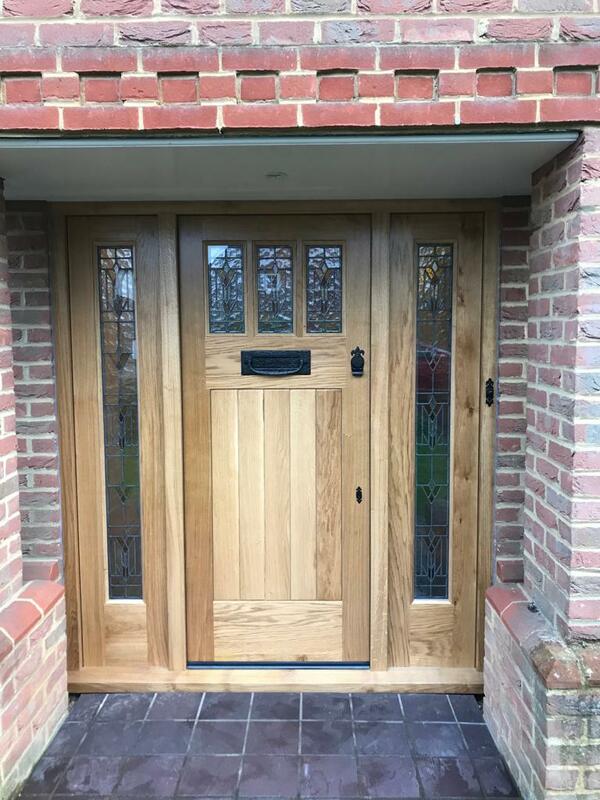 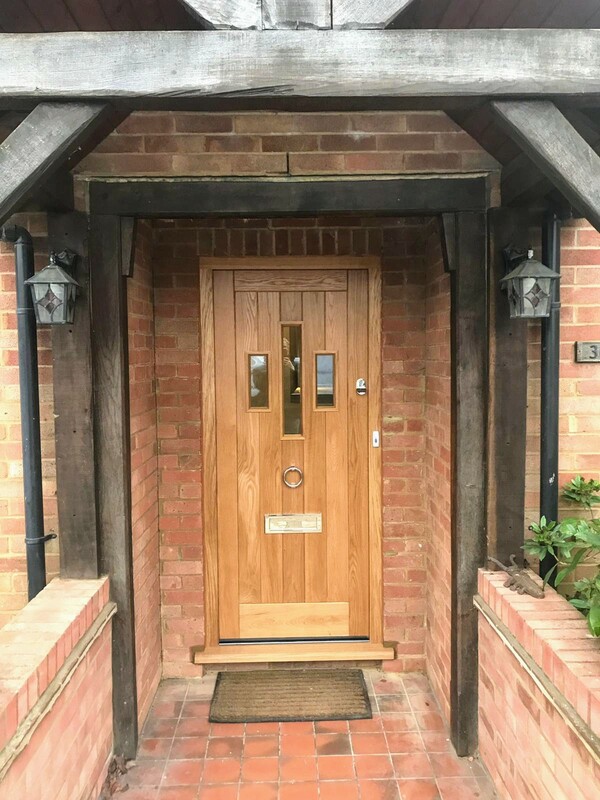 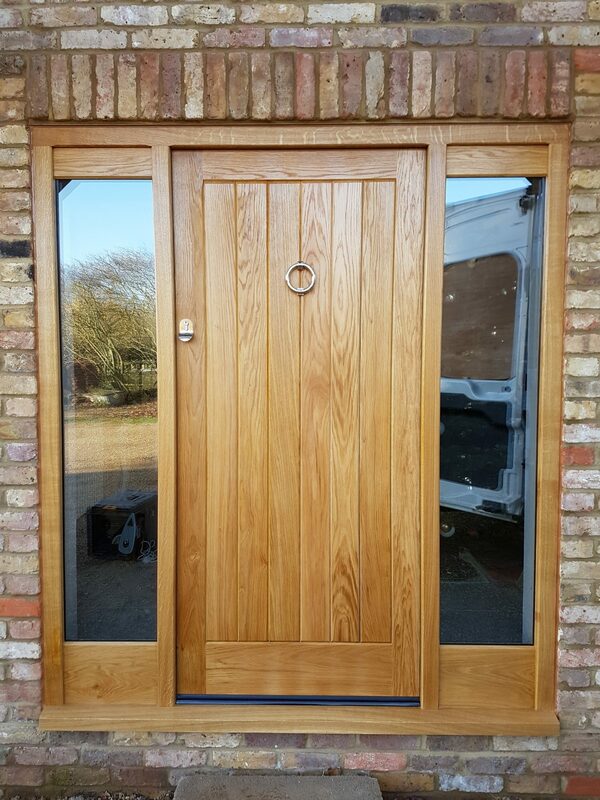 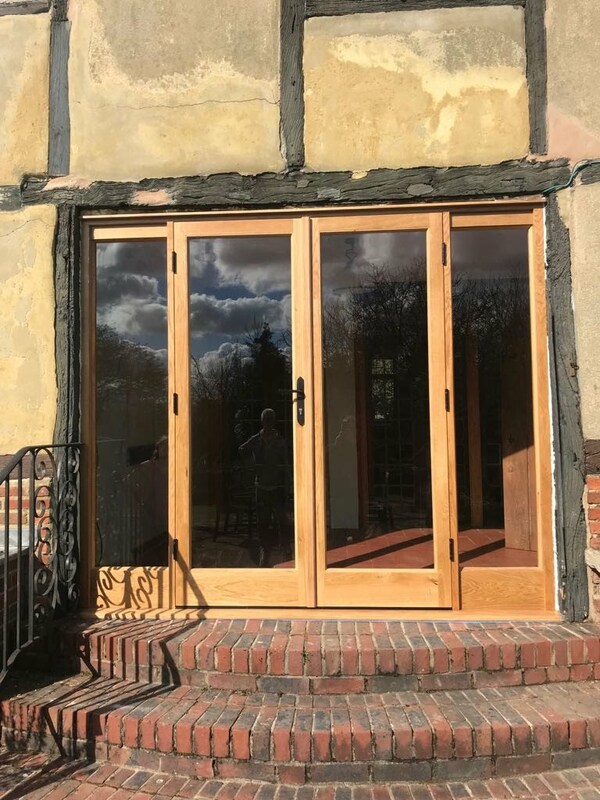 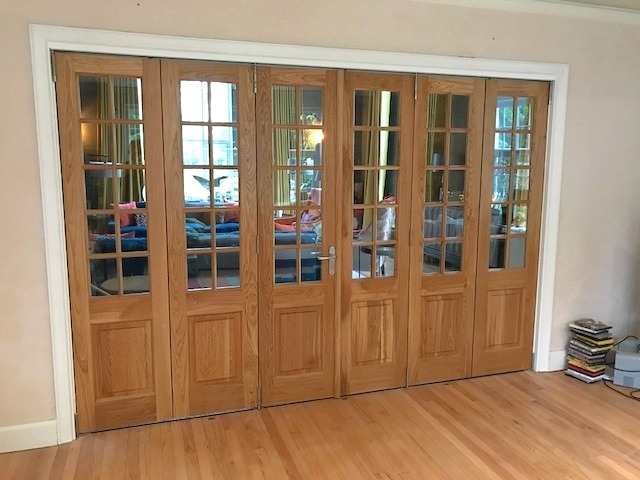 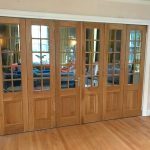 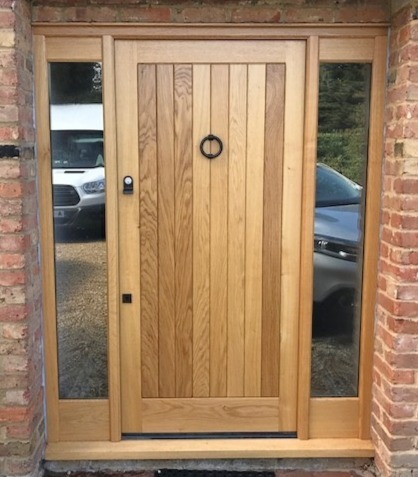 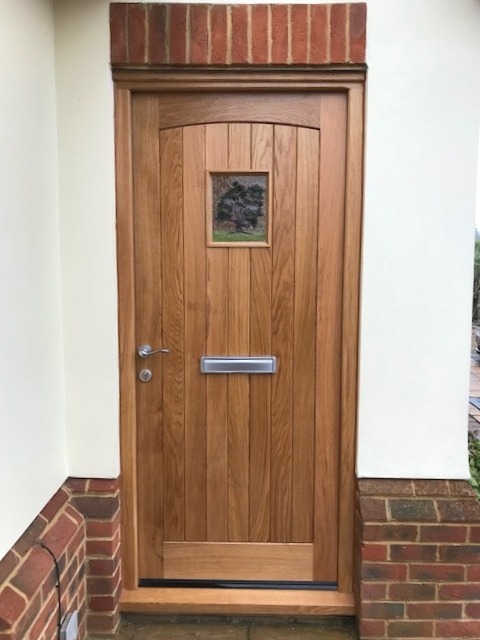 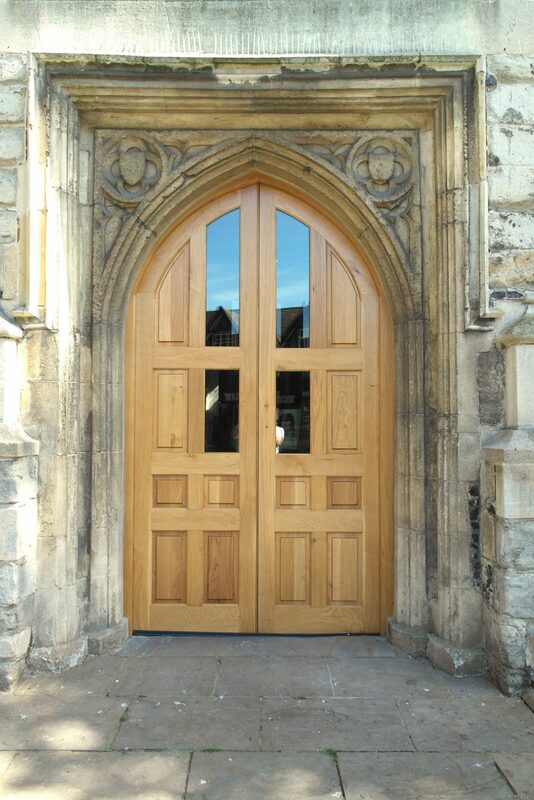 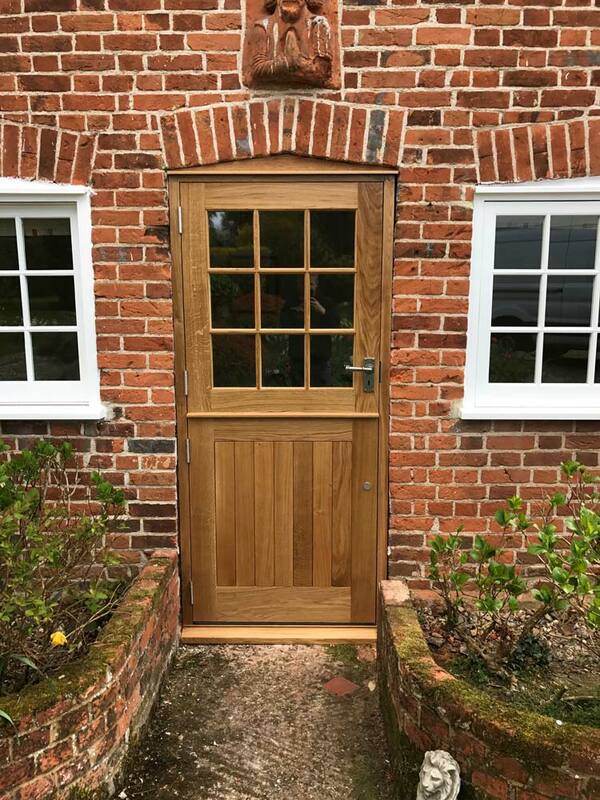 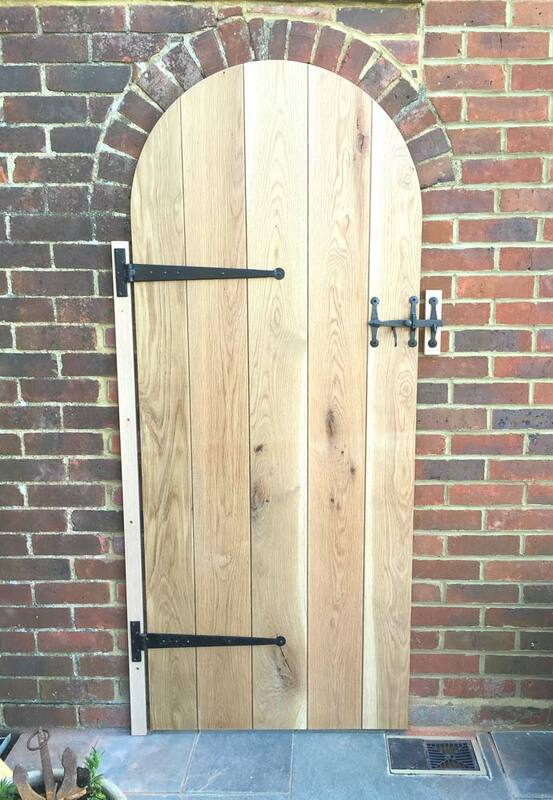 This is due to its attractiveness, durability and the ease with which it is maintained; like most hardwood doors, oak doors can be expected to last over 25 years and are easily repaired if damaged.